To celebrate it's 60th anniversary AKAI created in 1989 a dream amplifier. 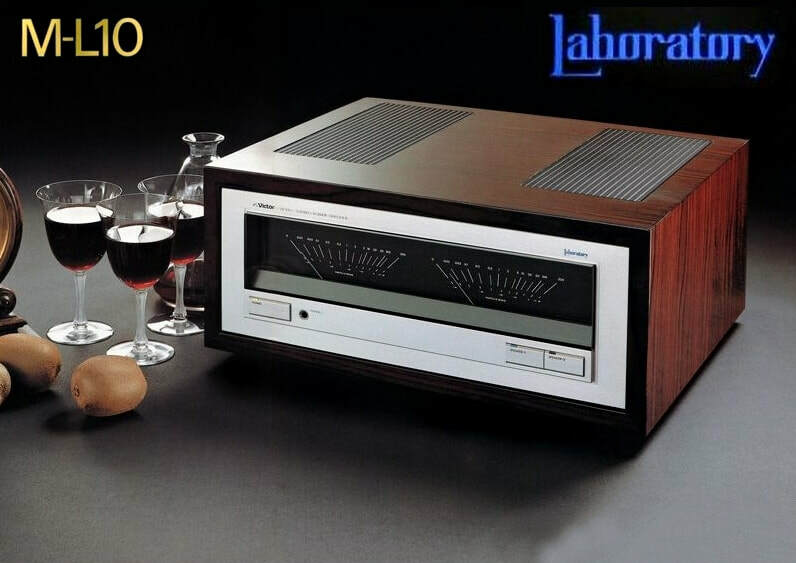 It was a 60 units limited edition Digital pre-power amplifier. Out of the 60 units made 30 were sold in Europe. 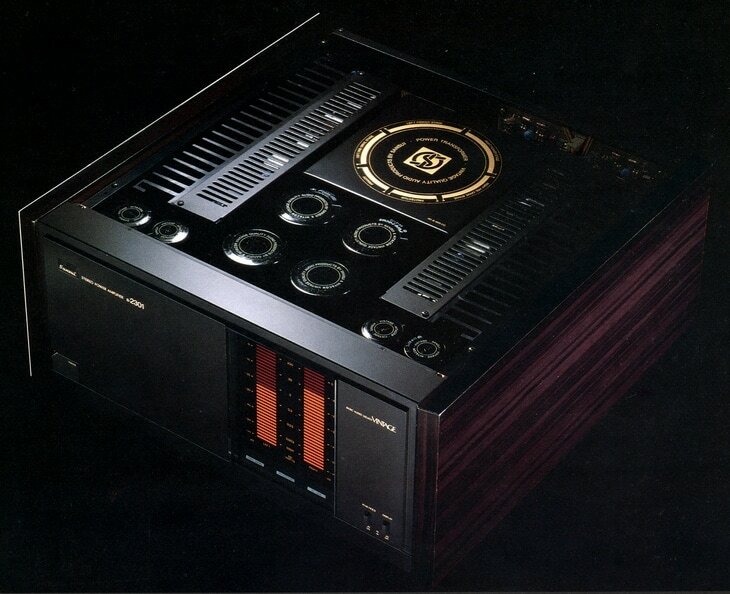 ​Introduced in 1984 the Grand Integra M510 was the biggest stereo amplifier built for home use by ONKYO. 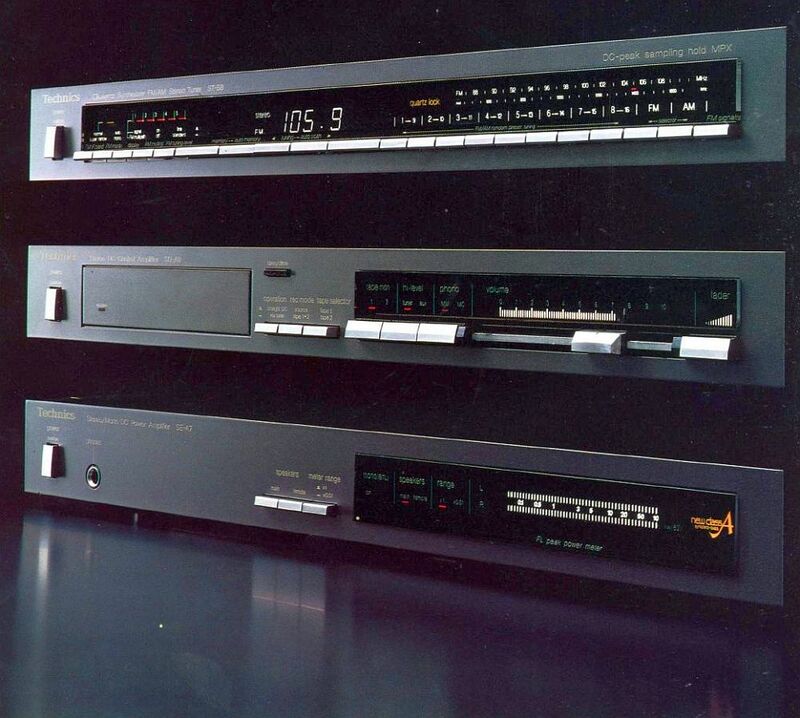 The M-510 has completely separate L/R channels all the way back to the power switch and AC cord. 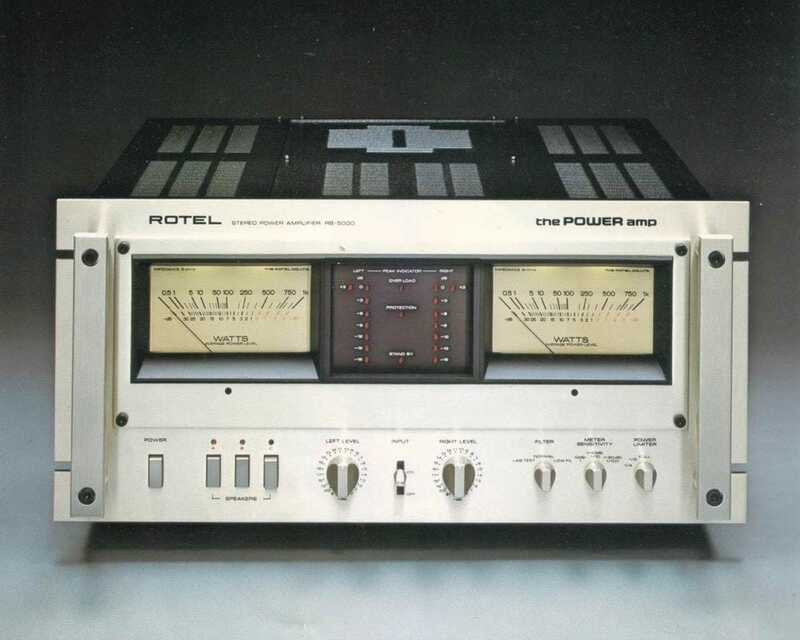 Each channel's power supply has two power transformers: one BIG toroidal unit with tremendous power capacity, and an "in-phase" transformer - which smooths out fluctuations in the charging currents. AC from the transformers is converted to DC by high-current rectifiers, and each channel has two massive 33,000 microfarad 100 volt filter/storage capacitors. 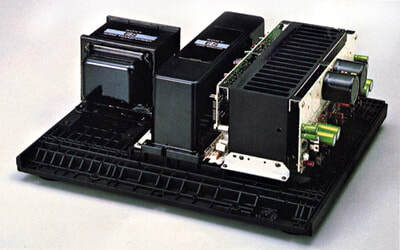 A third, independent power supply provides DC energy for the front panel lights, protection circuitry and speaker relays. Meter sensitivity can be switched from normal to -10dB to get meaningful readings even at low power levels. 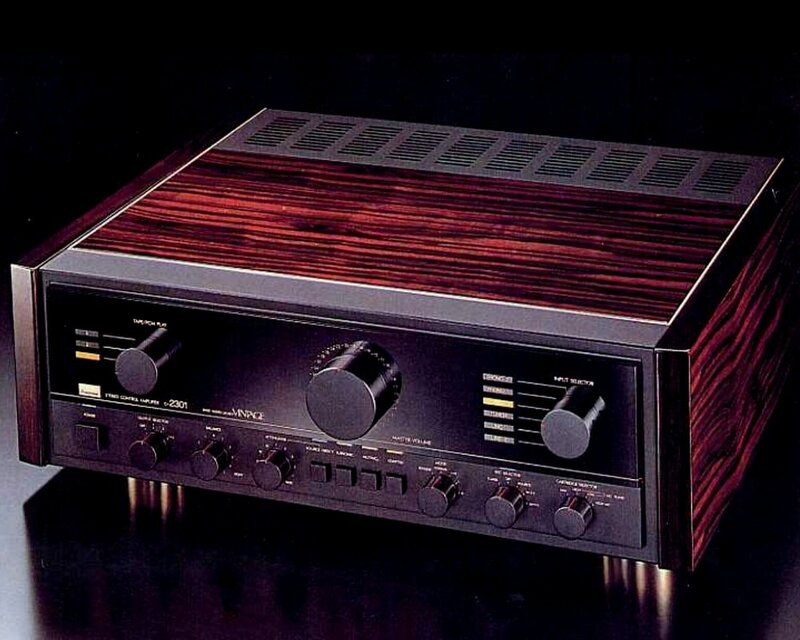 The design is complemented with genuine wood side panels. 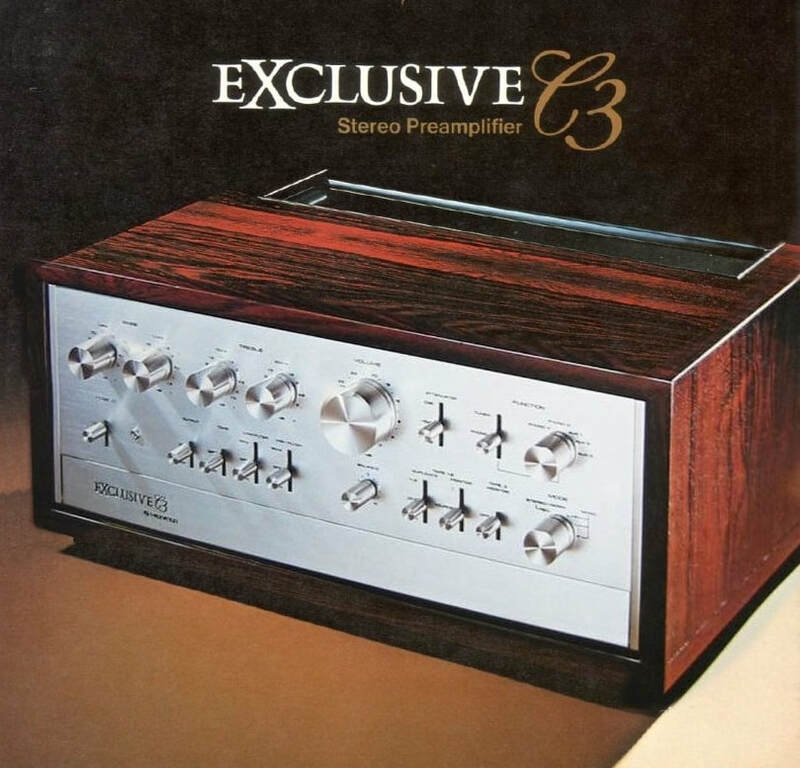 No specifically matching preamplifier was built. Technical data: 300 W/ch (20Hz - 20 kHz 8 ohm) Dimensioms: 507x264x512 mm Weight 63 kg. 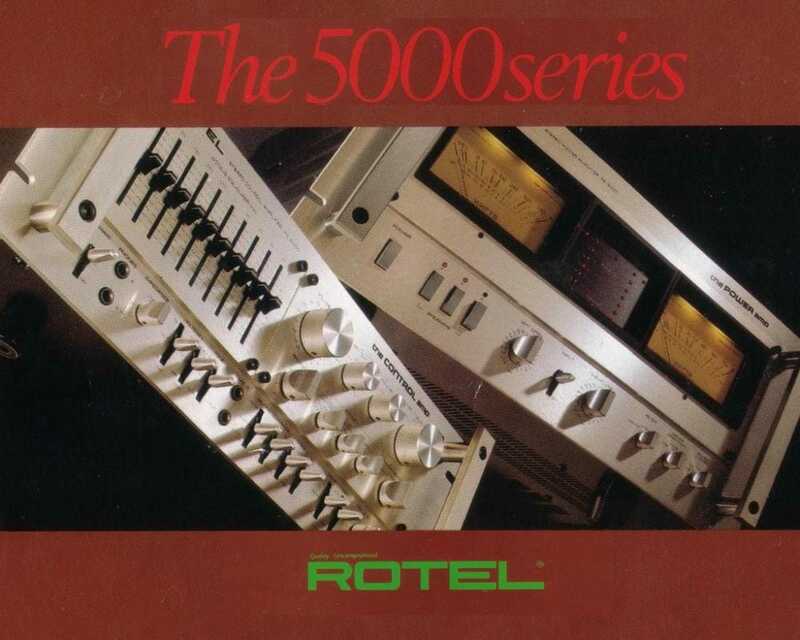 ROTEL RB-5000, the POWER amp, is a work of art, free from all restraints to achieve finest and most transparent sound definition. Pure elegance. 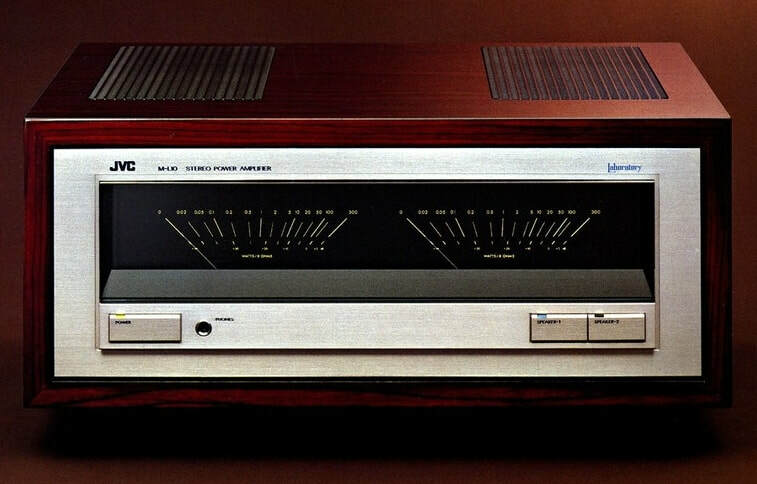 To partner this masterpiece there was the ROTEL RC-5000, the CONTROL amp, a state of the art high-fidelity control amplifier. The quality of the controls and switches in handling and durability indicate the astounding sophistication of these components. 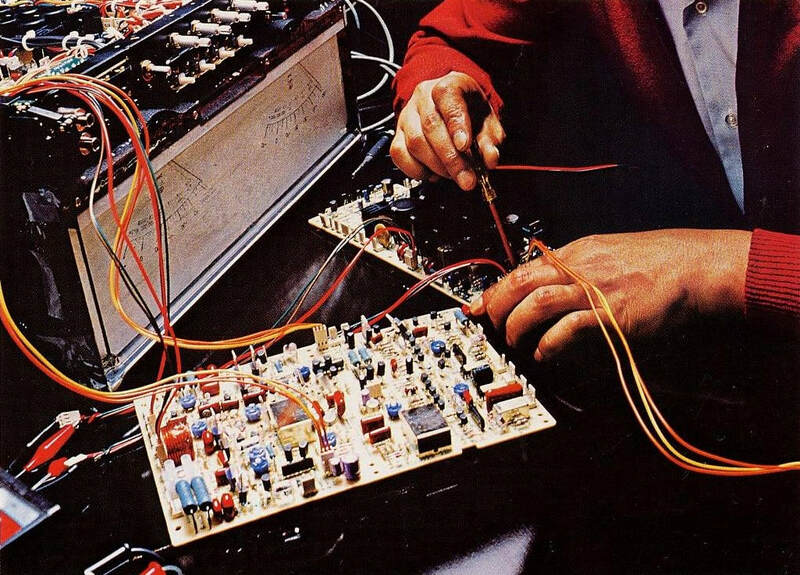 The most advanced electronic circuits systematically laid out inside are made up of top-quality long-life materials and components and they give consistency in optimum performance. 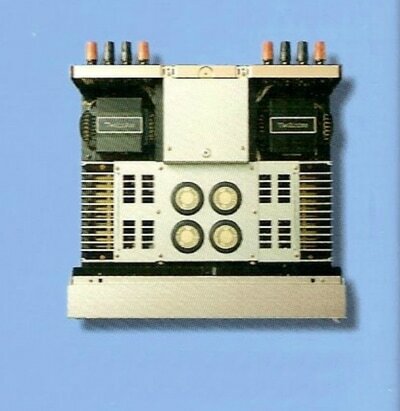 Technical data: 500 W/ch continous power (min. RMS 8 ohm 20 to 20,000 Hz with no more than 0.009% THD) Dimensions: 483x210x430 mm Weight: 53 kg. ​Did you know that the world leader in electronic industry Samsung began their operations by producing noodles first? 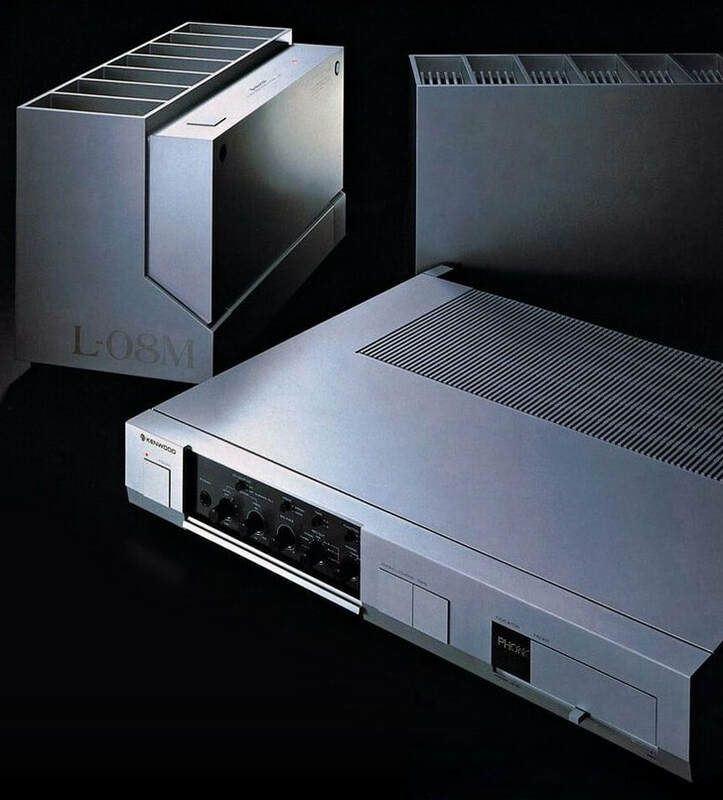 ​Then how about some High End audio products made in 1996? 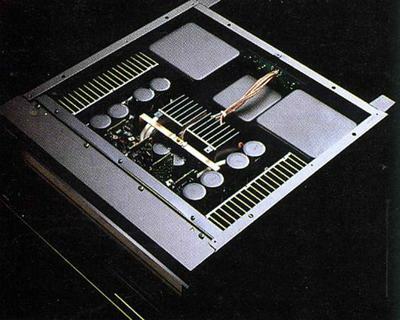 The Class A+ operation employed in the SE-A1 was similar to the Class A operation, which constantly requires electric current, but with floating ground potential. 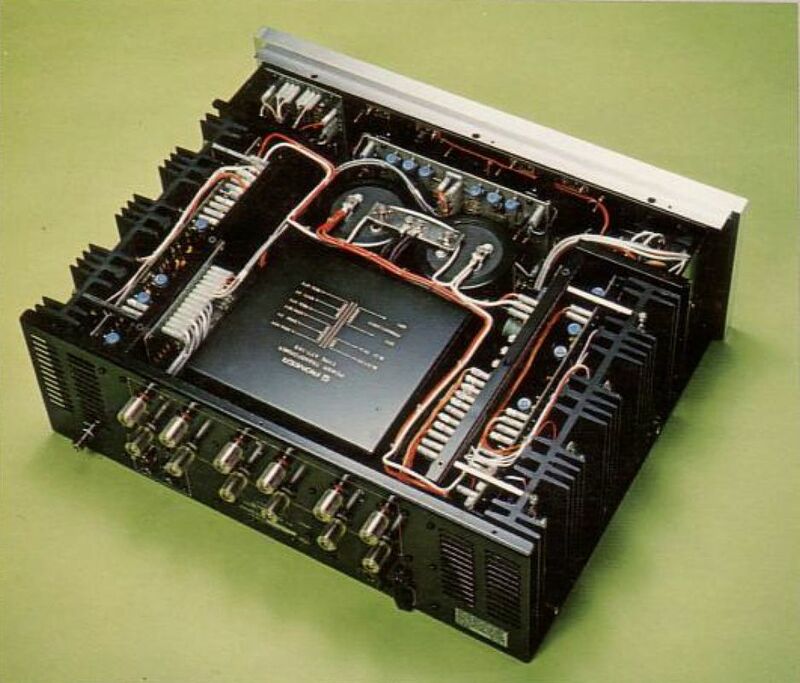 This system supplied high voltage from a separate power supply amp as needed in sync with the audio signal amplitude. 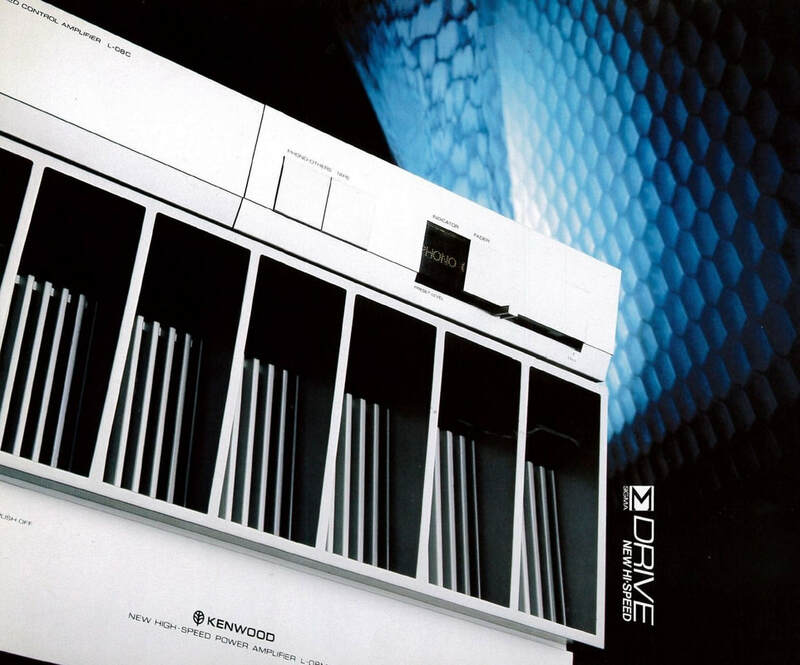 This achieved high output power without using a forced air cooling fan, thus enabling a compact housing. 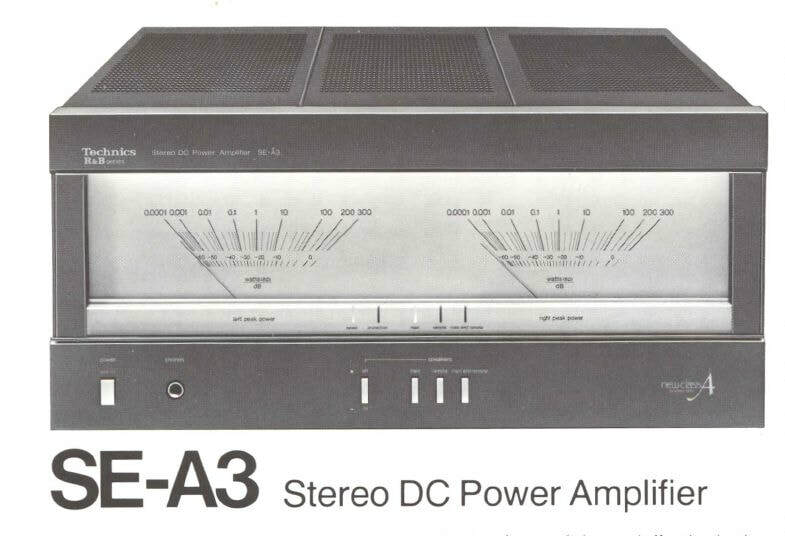 The SE-A1 was a full-fledged DC amp, and boasted excellent waveform transmission performance. The active thermal servo circuit suppressed DC drift. The power supply section featured a dual monaural structure with four power supply units per channel for a total of eight power supply units. 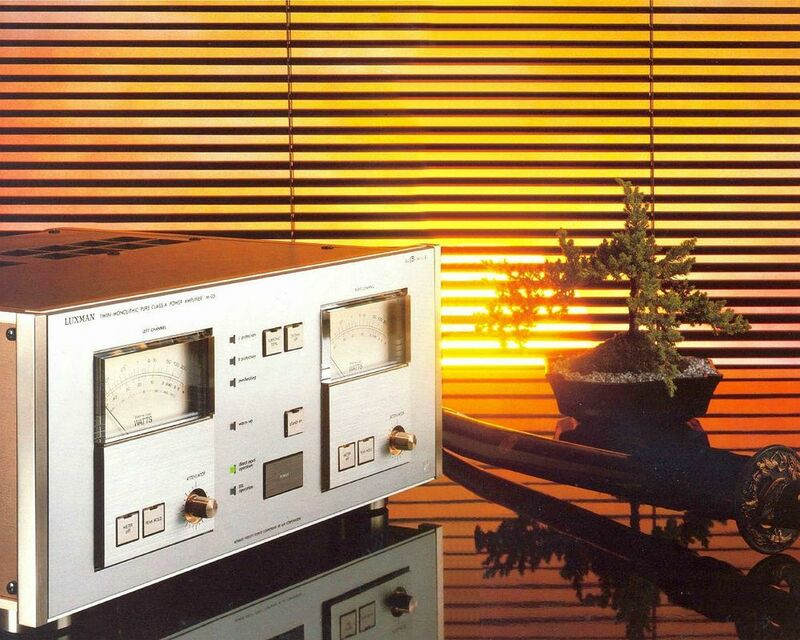 The peak meter was a quick-response type. 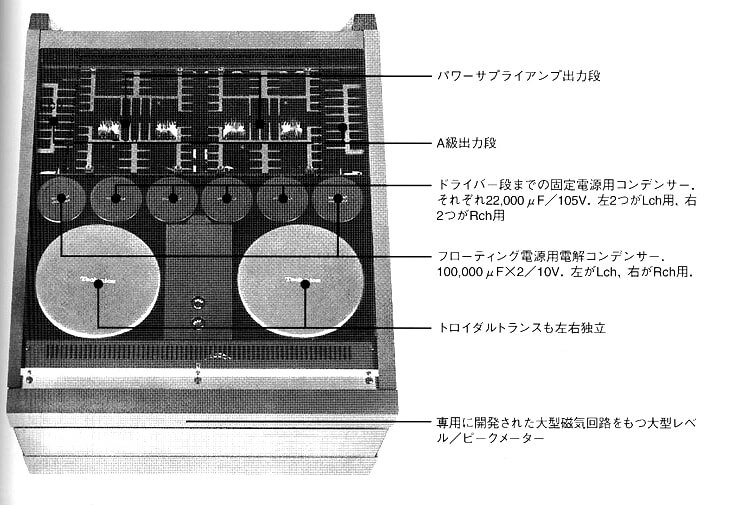 The SE-A1 and SU-A2 were made-to-order, and only one unit was produced per day. The SE-A1 developed in pursuit of the highest possible performance had a considerable impact on the industry. 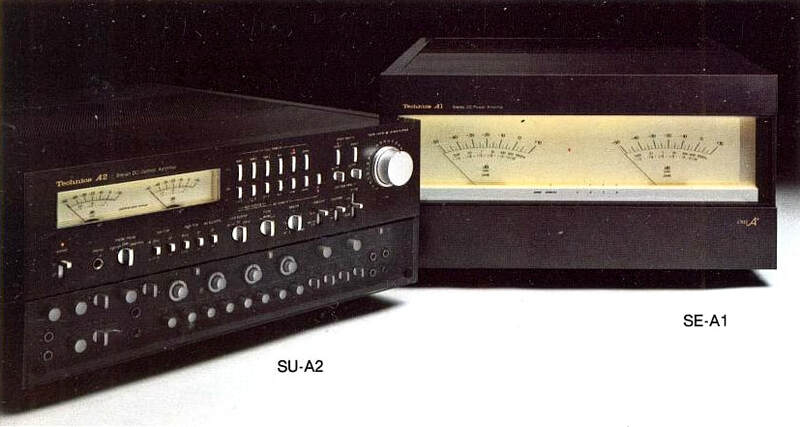 Using Class A operation in all stages, the SU-A2 was completely free of switching and crossover distortion, and realised low distortion and a high S/N ratio. 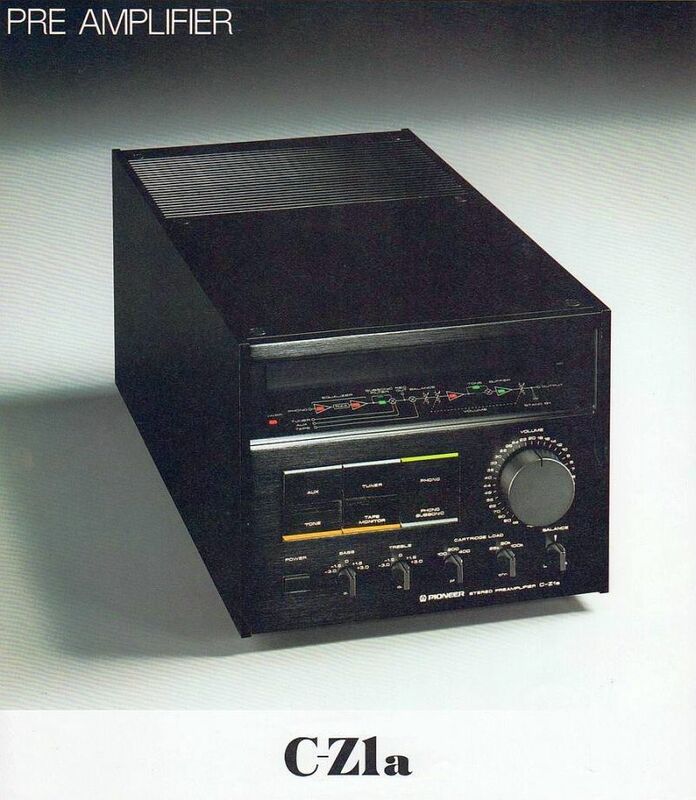 Featuring the DC amp structure, the SU-A2 used no capacitors and achieved faithful waveform transmission. From the Phono MM input to the output terminals, the rated distortion factor was 0.003% in the range of 20 Hz to 20 kHz (at 1-V output). The SU-A2 was provided with a low-noise dual FET for MM and a newly developed low-noise transistor for the MC preamp. Use of the active thermal servo amp minimised DC drift. 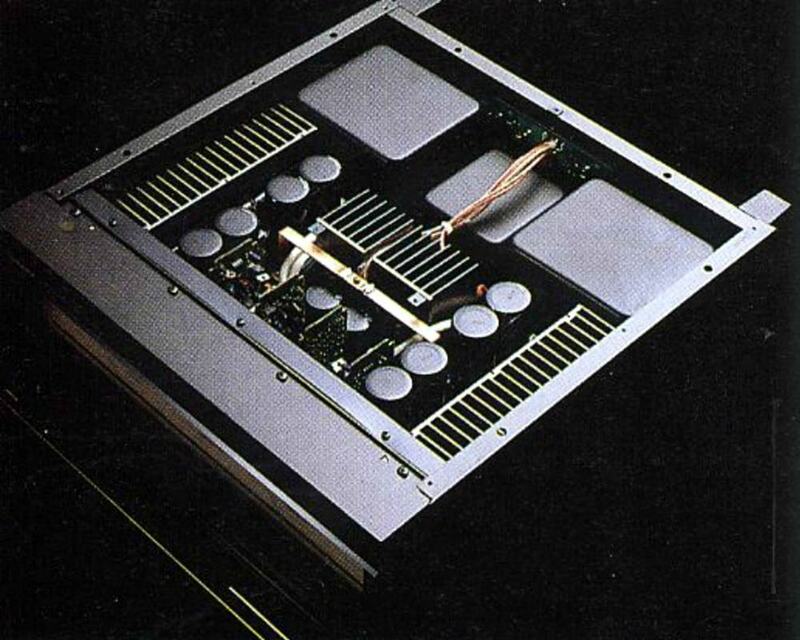 Despite the multi-functionality, the simplified wiring and switches in each section offered minimal crosstalk. 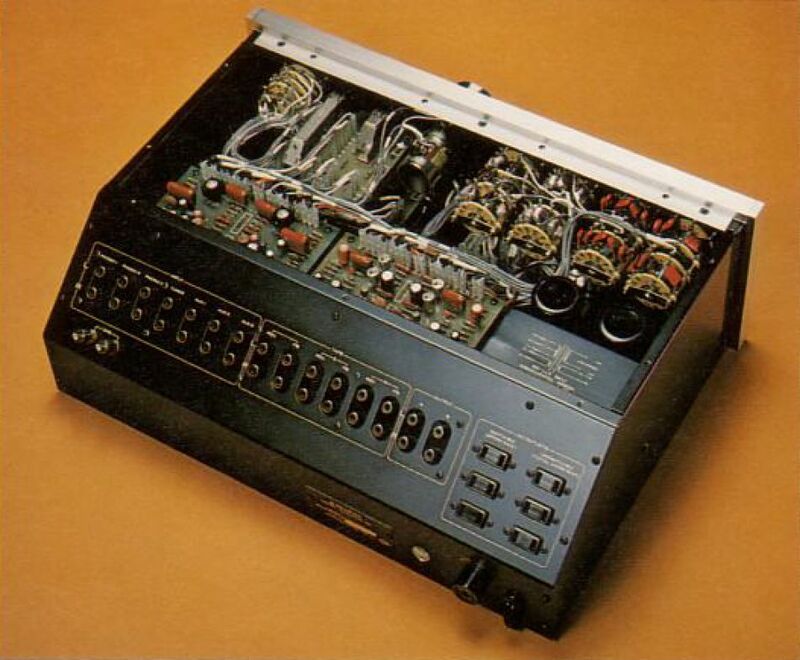 The universal frequency equaliser was configured with four elements in each channel for a total of eight elements. 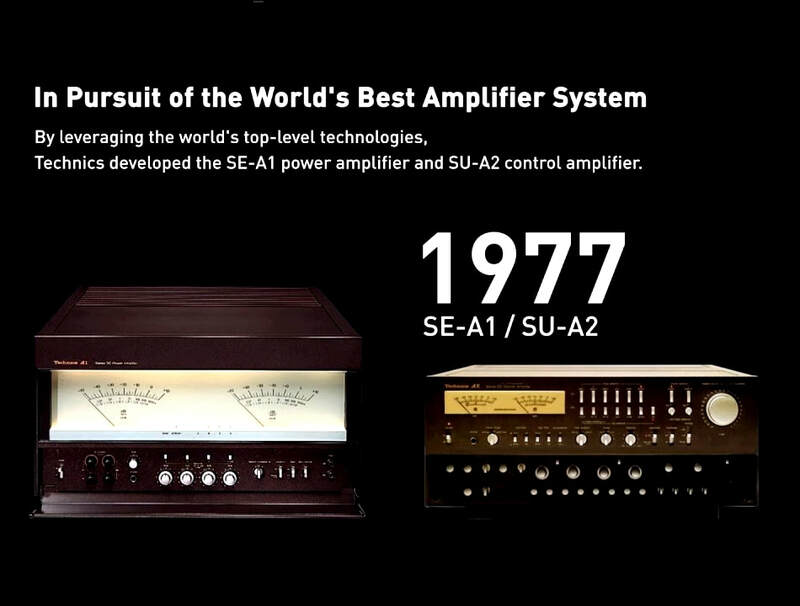 The SU-A2 was highlighted as the most advanced, top-level control amp of the day." 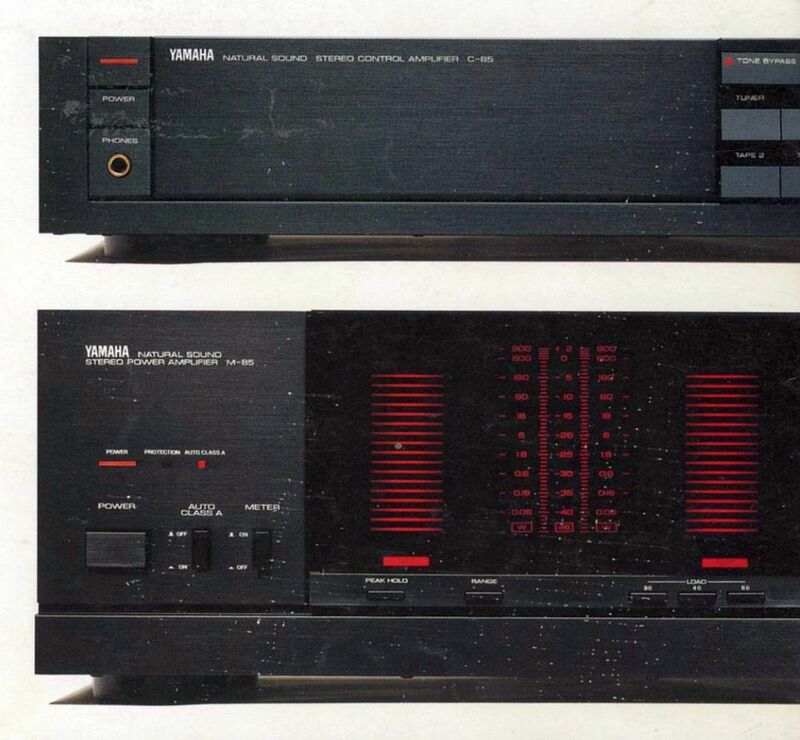 ​This YAMAHA pre-power amplifier combo was part of the Limited Centennial Edition #10000 Series introduced in 1987. 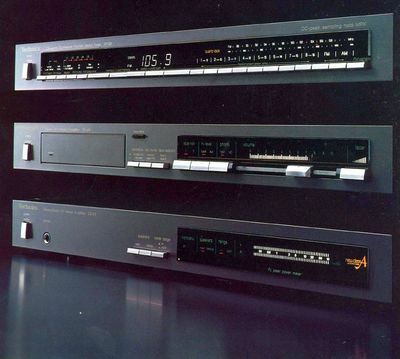 The Limited Centennial Edition line of stereo components included the MX-10000 Amplifier, the CX-10000 Control Amplifier, the CDX-10000 Compact Disc Player, the HX-10000 Phono Equalizer Amplifier, the NSX-10000 Speakers. 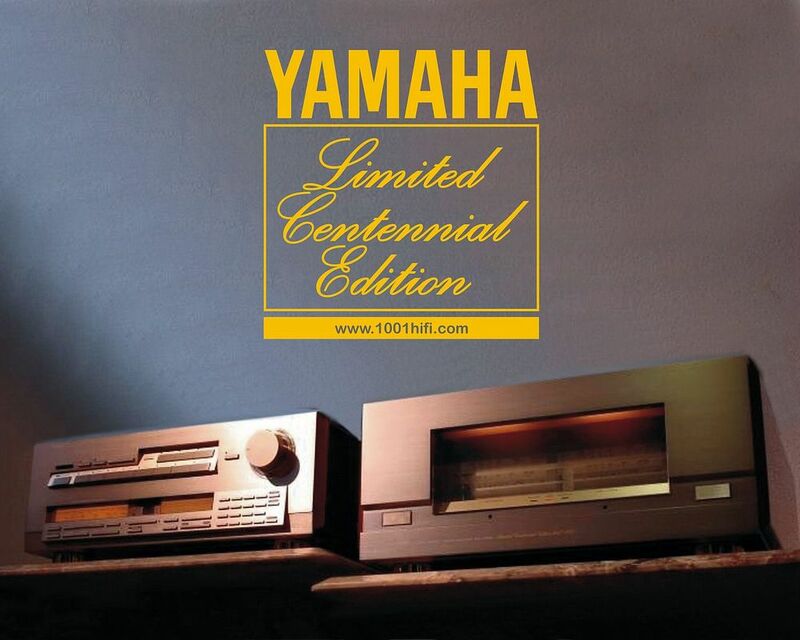 The MX-10000 is Yamaha's finest ever pure Class A operation amplifier, with sound quality characteristics approaching perfection. This is the ultimate Class A, surpassing all performance limitations. 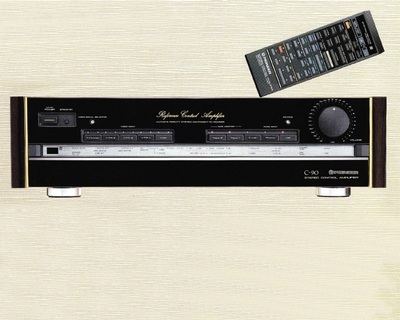 The one serious drawback to Class A operation has been finally eliminated, thanks to Yamaha's HC Class A circuit. 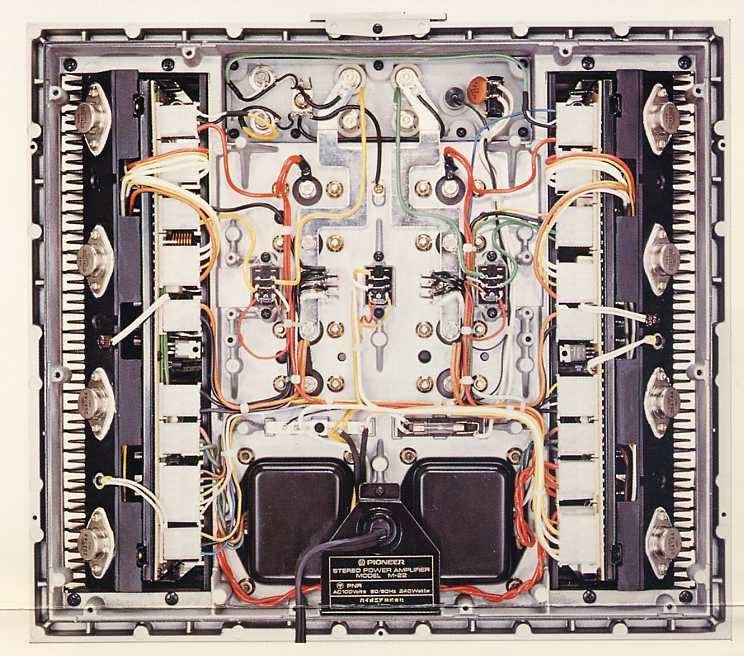 The HC Class A circuit is elegantly simple, consisting of just two dual transistor circuits. The HC Class A circuit converts input current perfectly into positive and negative hyperbolic characteristics at a high speed. 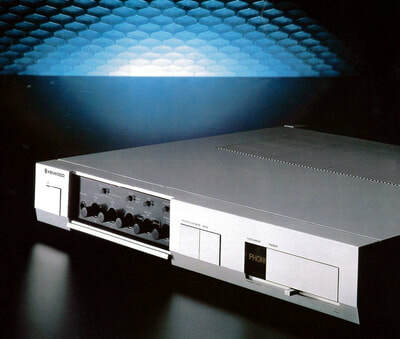 To put it briefly, the MX-10000 constantly delivers pure Class A operation without switching and without cut-off for all power domains and into all loads. Class A operation is assured in large current output operation with a superior dynamic power range. Rated output is at 300W x 2 into 6 ohms, and dynamic power is an awesome 1,200W x2 into 1 ohm. 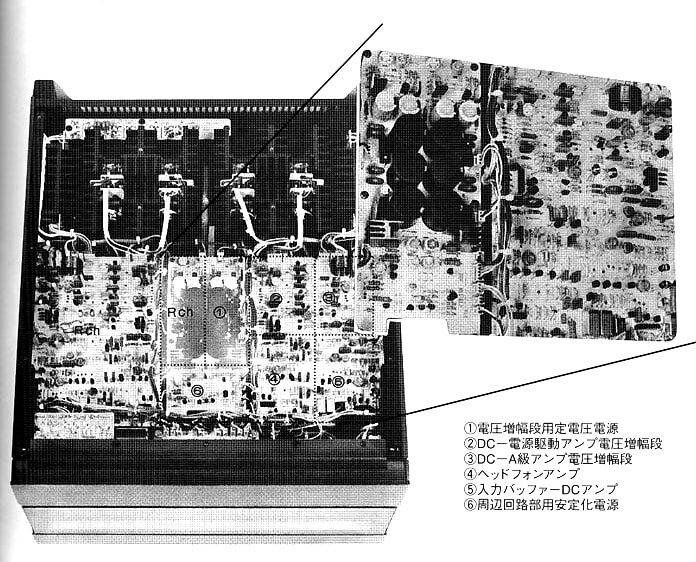 Eight high-power MOS FETs (four pairs of Toshiba 2SJ123 and 2SK442) are used in each channel in a quadruple push-pull arrangement in the output power stage to provide the HC circuit with low-load Class A operation. Developed exclusively for the MX-10000, these MOS FETs permit large-current high-speed operation. The power MOS FETs are controlled by multiple carrier control, resulting in excellent wide-range amplification characteristics, with none of the problems caused by switching distortion. 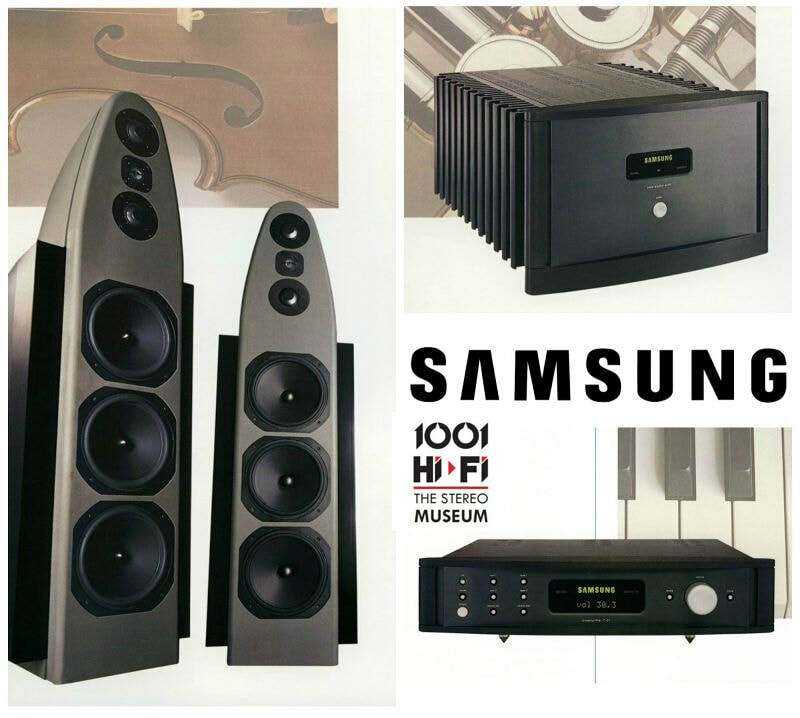 Although the awesome figure of 1,200 watts per channel of dynamic power into 1 ohm is impressive, the resulting music's overwhelmingly grand, yet smooth quality is even more so. 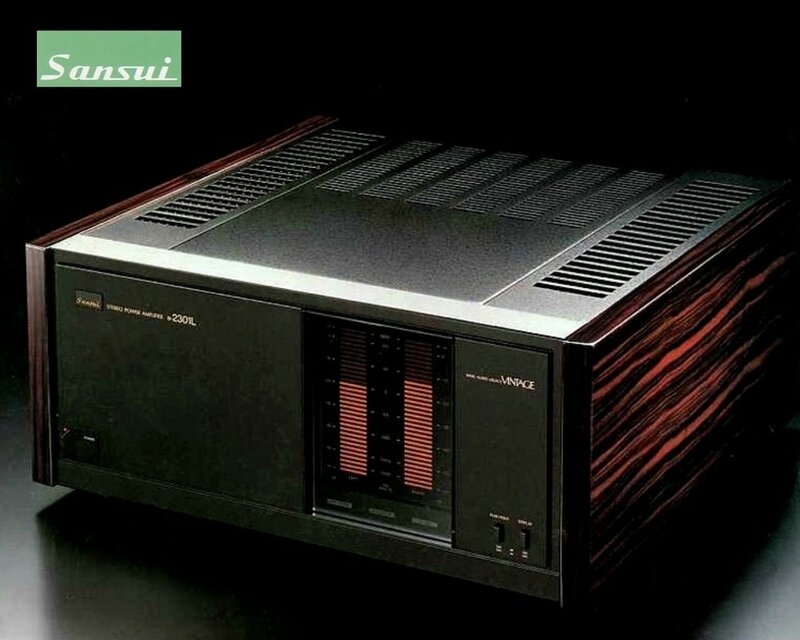 In addition to the HC Class A circuit, there is a pre-drive voltage amp which amplifies the voltage of the very weak input signals that are directly connected to the input terminals and provides Class A operation the same as in the output stage. This means a high through-rate of 500 V/µsec at this stage and a gain of 30 dB, reducing negative effects due to noise. Moreover, with low impedance, the antinoise characteristics are improved remarkably. 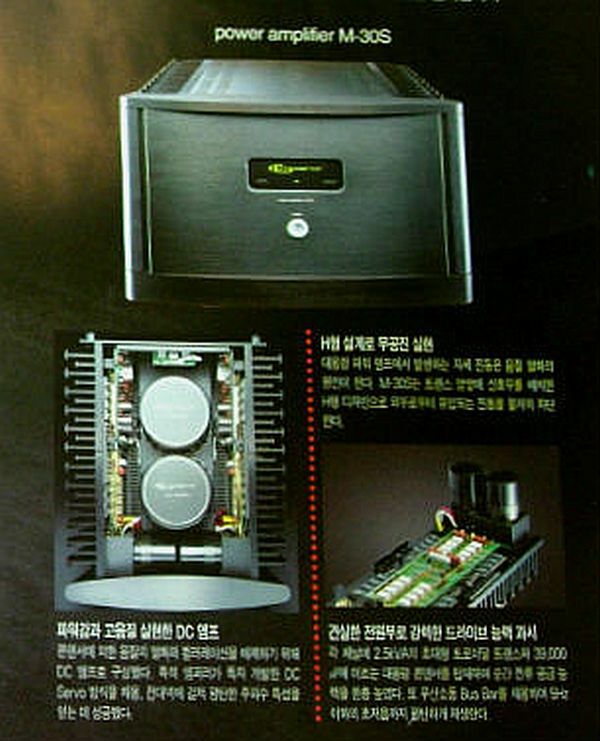 The result is exceedingly pure high-power amplification, featuring 0.0005% distortion and an S/N ratio of 132 dB. 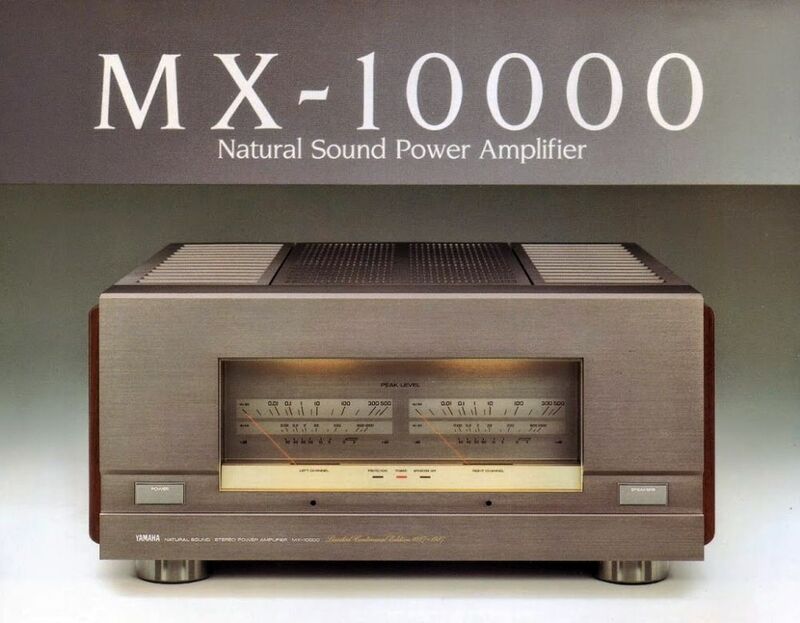 ​The MX-10000 incorporates power buffer amplifiers which supply the power required for the Class A output stages with power MOS FETs. 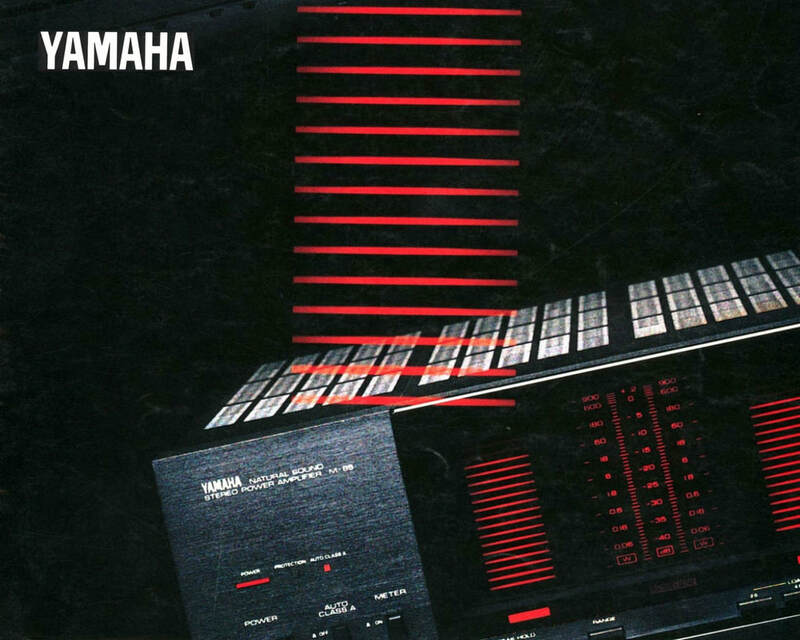 This Class A configuration using Yamaha original dual amplifiers solves the heat-radiation problems that can occur during Class A operation. 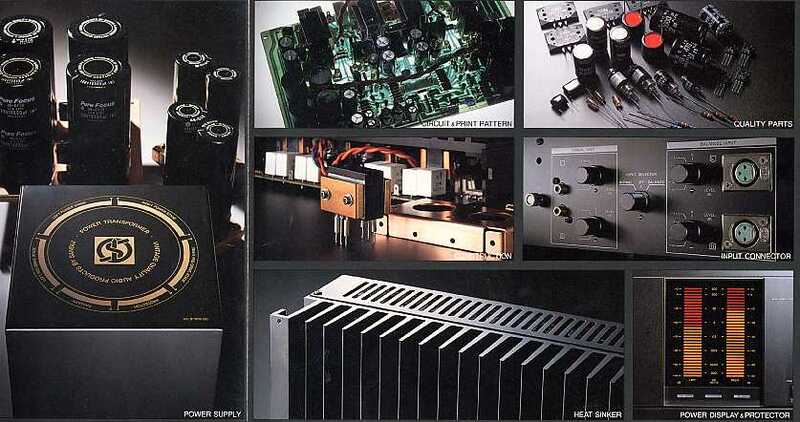 To supply a large power output promptly to the output stage, the power buffer amplifiers use high ft power transistors with superb audio characteristics in a sextuple push-pull configuration, six for N CH and six for P CH, i.e. 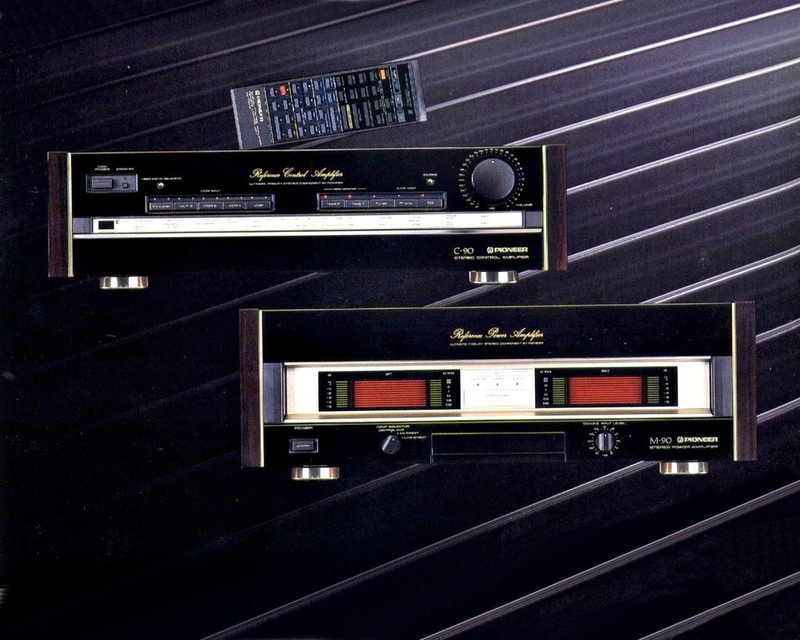 12 in each channel (Sanken's 2SA1216 and 2SC2922). 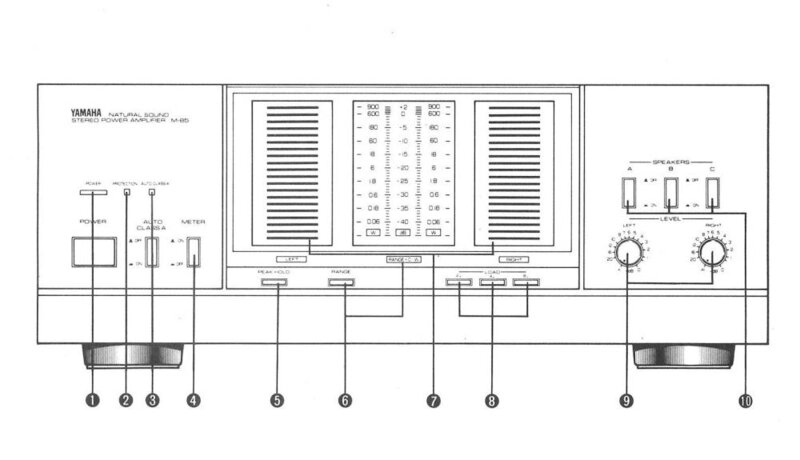 Since this dual-amplifier Class A configuration adopts non-current grounding which is used only for determining the ground potential, amplifier operation instability due to current flow into the ground is eliminated. The MX-10000 is constructed of highly-rigid, non-magnetic material. The front panel of extruded aluminum is half an inch thick. Even the weight and design of the screws have been carefully analyzed, in order to ensure that rigidity is uniformly applied throughout. 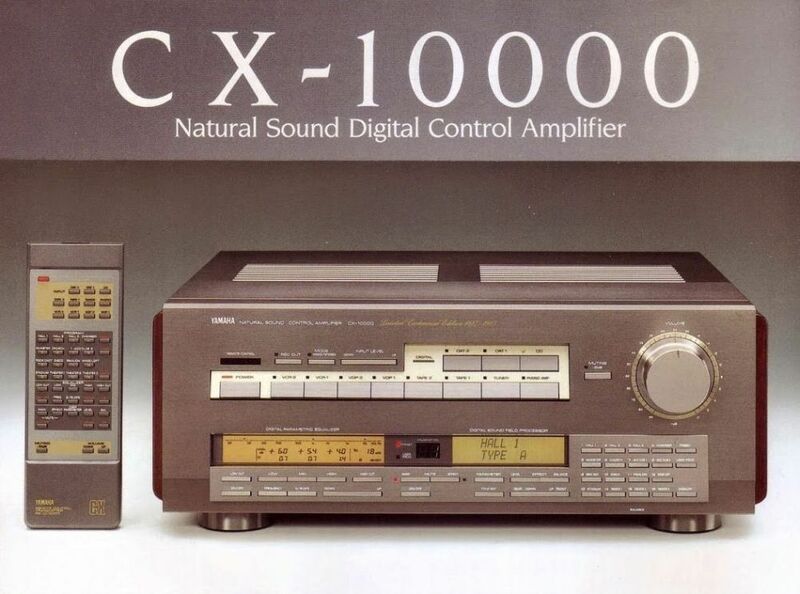 The partnering CX-10000 is not a pre-amp in the conventional sense. 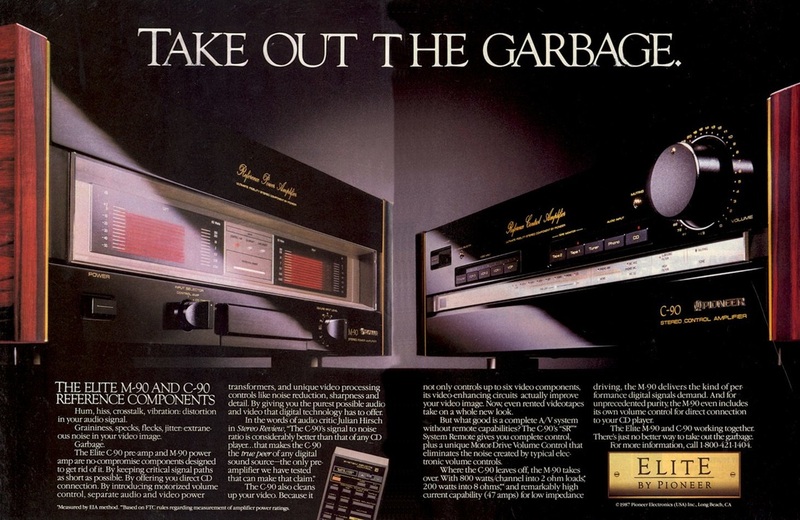 Nor is it a conventional analog pre-amp in any sense. 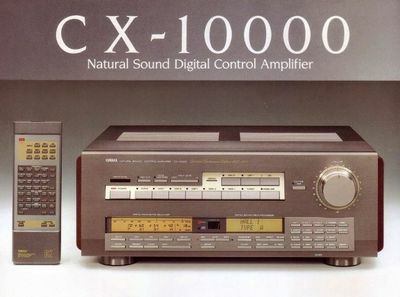 Instead, the CX-10000 is a tru control amplifier because it offers vastly more control over the final sounds you hear than was possible with any of its predecessors. 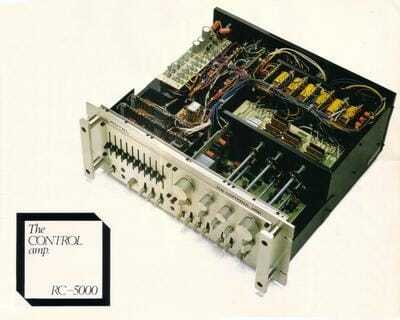 And it is a true digital control amplifier here Digital input is received directly without analog conversion. Signal is digitally processed with the help of Digital Parametric Equalization and Digital Sound Field Processing. 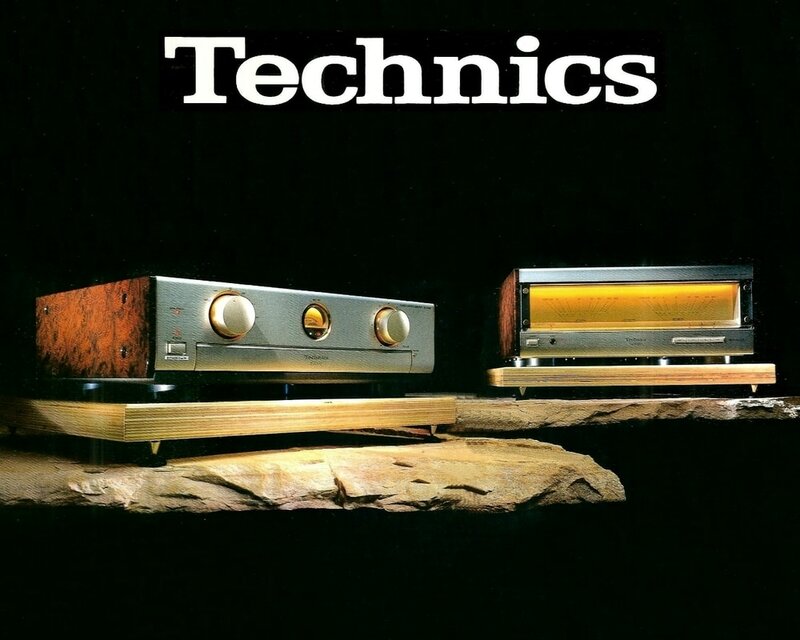 At Technics, our goal is to provide our customers with the finest possible fidelity. 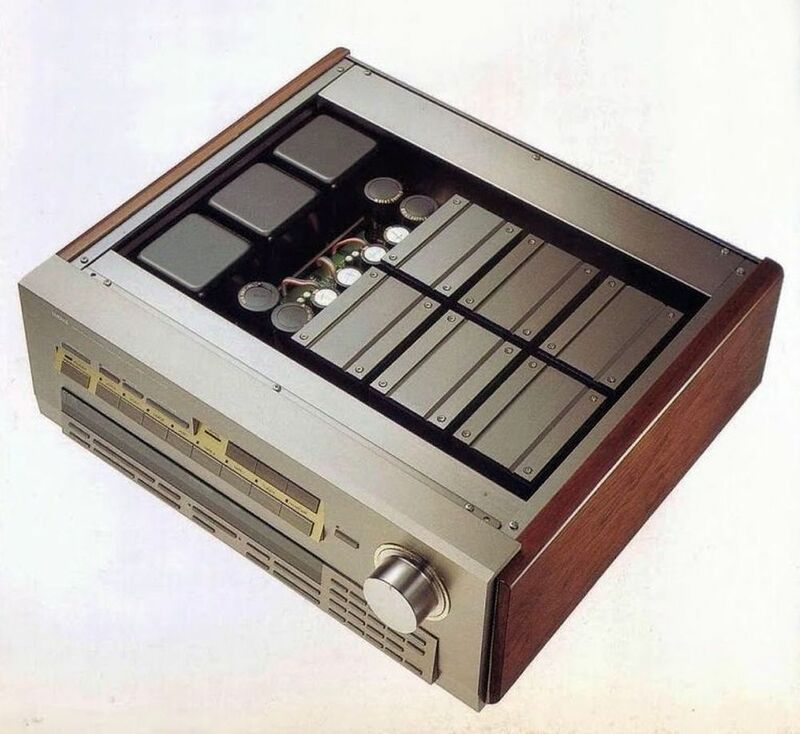 Now, incorporating dramatic new technological advancements, we are able to offer state-of-the-art electronics elegantly packaged in a compact, slimline series called the Studio Collection. 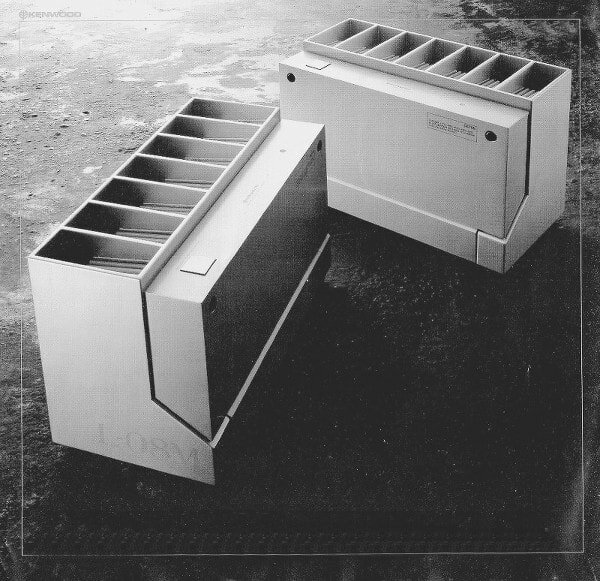 The components described herein are cosmetically matched; each unit is only 2" high! 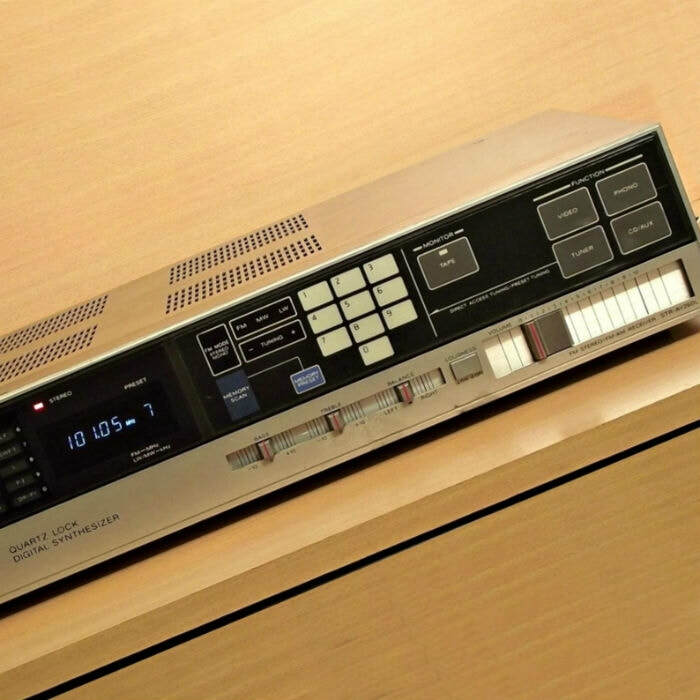 And, in addition to their graceful, sleek appearance, the performance of the Studio Collection approaches the virtual perfection of the current state of the art in audio tehnology. The SE-A7 power amplifier features both our remarcale New Class A design and our innovative Linear Feedback circuitry - this combination redeuces distortion, all kinds of distortion, to total inaudibility. 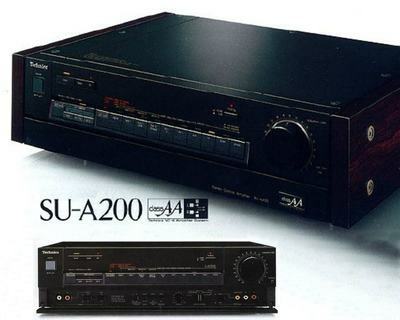 Its matching preamp, the SU-A8, includes a full complement of controls for flexibility. 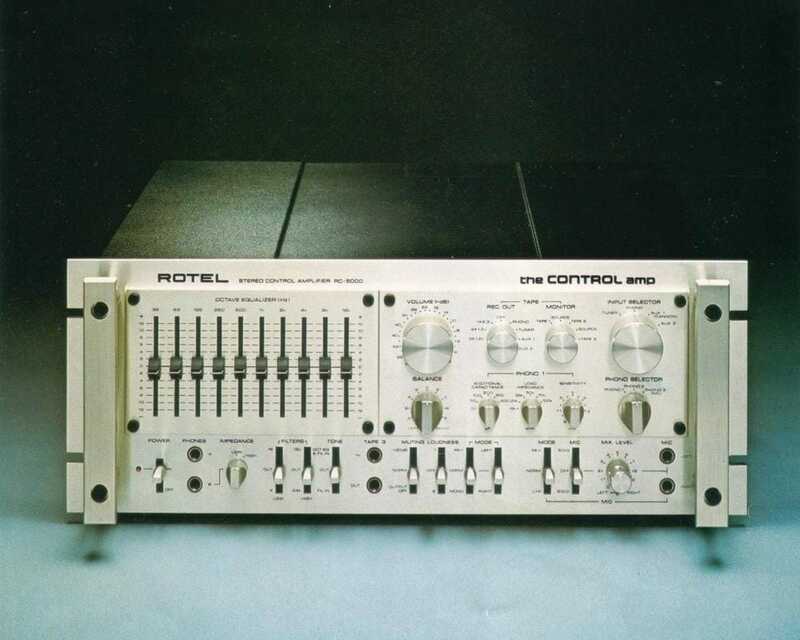 It also includes a straight DC configuration, so it approaches the theoretical perfection of a straight wire with gain. The perfect complement to these fine amplifiers, the ST-S8 quartz synthesizer tuner combines the accuracy of digital synthesis with an impressive array of features - these include super-narrow IF bandwidht, a digital signal strenght readout, and full DC circuitry. 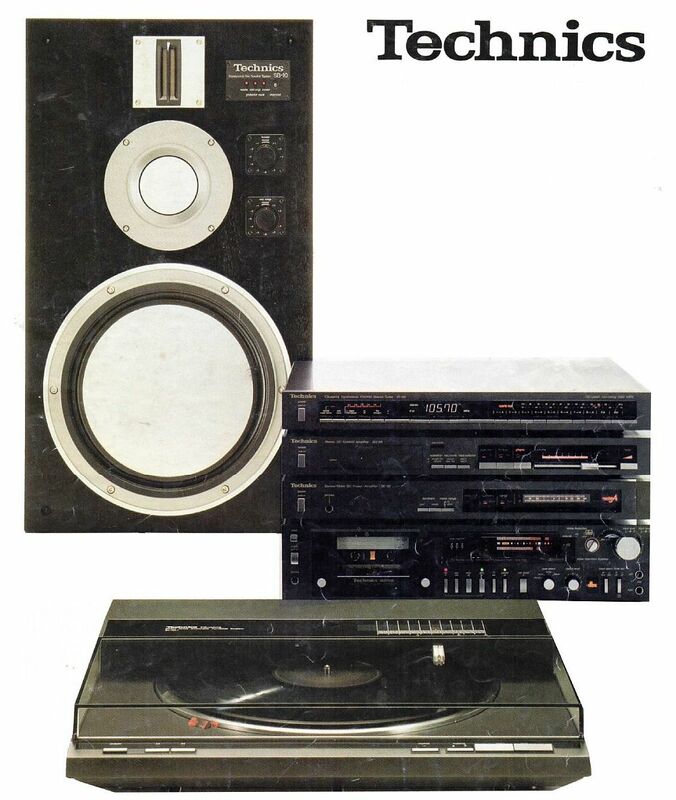 These 3 components form the heart of a truly impressive audio system; add a Technics SL-QL1 linear tracking turntable and SB-8 honeycomb disc speakers and enjoy your music as never before. 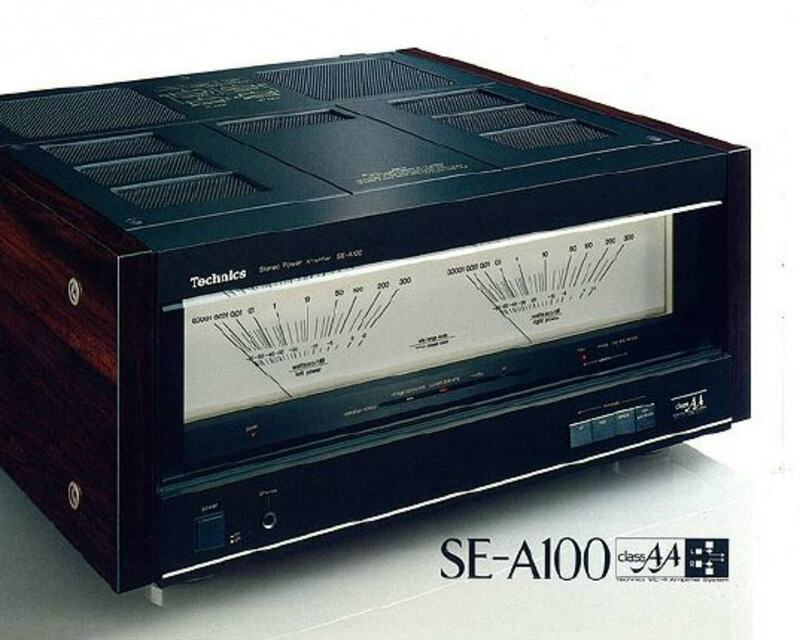 The SE-A7 delivers 60 watts per channel minimum continous RMS into 8 ohms, both channels driven from 20-20,000 Hz, with no more than 0.003% total harmonic distortion. This incredibly low distortion figure is just one clue that the technology inside the SE-A7's streamlined cabinet is as advanced as anything on the market. 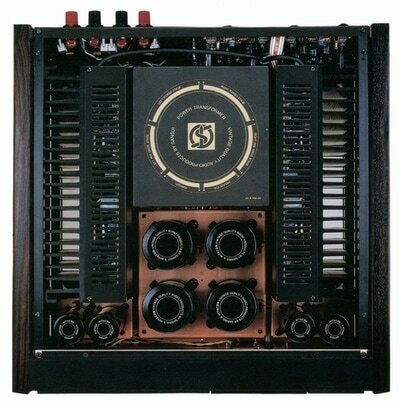 There are applications for which 60 watts may not be sufficient - if you need more power, the SE-A7 can be strapped to deliver 120 watts mono. 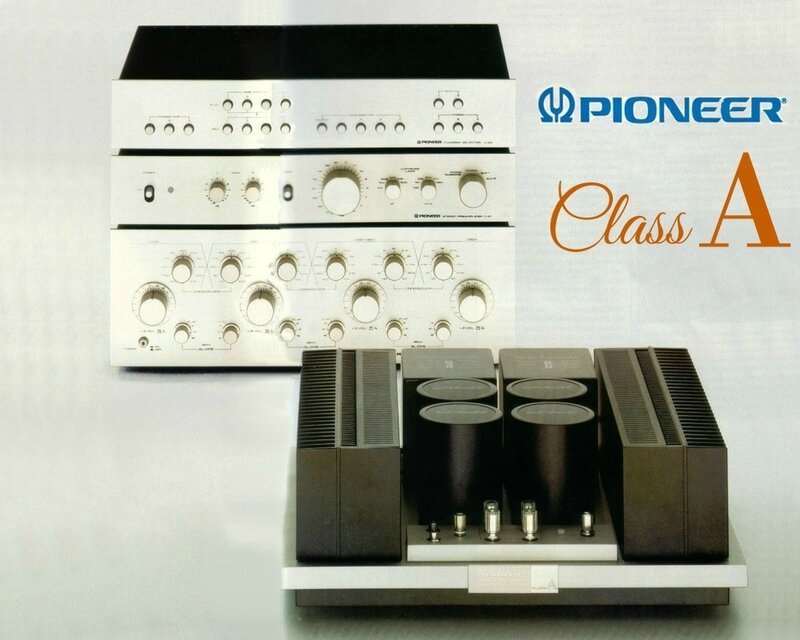 The culmination of PIONEER's creative design can be heard with the esoteric Series Twenty Class-A components which achieve the exceptional warmth and presence of valve-type amplifiers without the drawbacks of the old designs. The Series Twenty was launched in 1978 to prove just how "high" fidelity could really reach if the cost factor is eliminated. 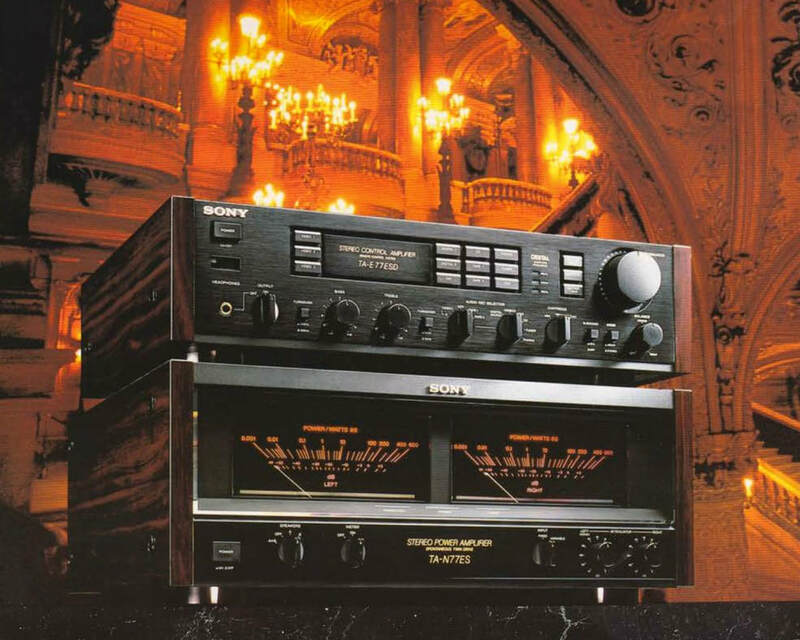 The PIONEER M-22 is operating strictly in the Class-A mode. 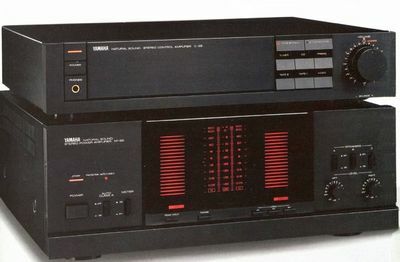 Admittedly low on efficiency (watts of output per power input) but unbeatably high on performance. The M-22 obtained the highes compliment when the British journal Practical Hi-Fi said the amplifier "can be regarded as the classic straight wire with gain" Technical data: 30 W/ch min. 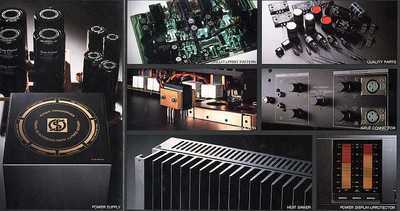 RMS at 8 ohms, from 10 to 30000 Hz Dimensions (WxHxD) 420x153x370 mm, Weight: 22 kg. 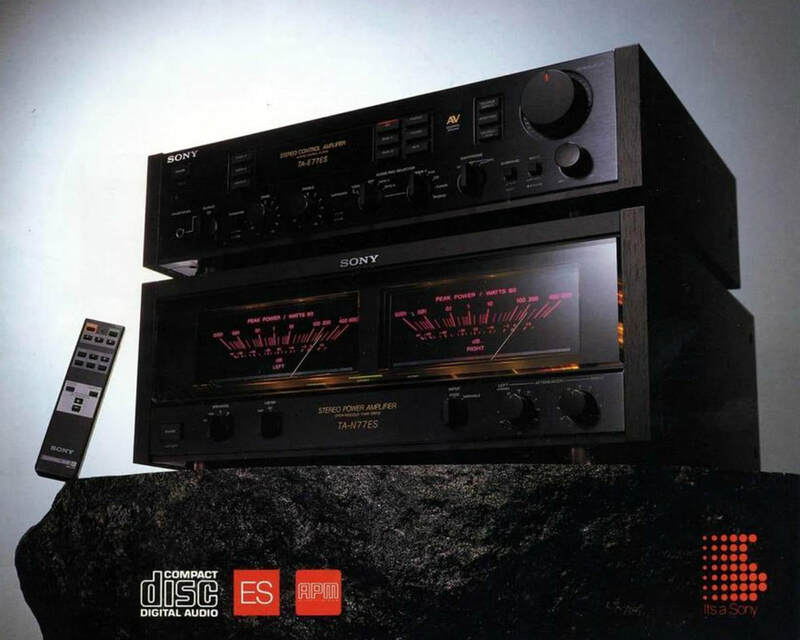 Partnering components are the U-24 Stereo Programme Source Selector, C-21 Stereo Preamplifier, D-23 Multi-Amp Electronic Crossover Network. 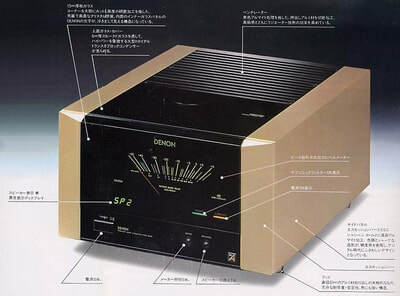 State of the Art mono power amplifiers introduced in 1981 by DENON. I think the POA-8000 can easily compete for the best looking monoblocks ever. It is using a ultra-high stability and ultra low noise construction with DENON's Non-NFB Class-A design. This design will prevent transient distortion and it will provide excellent dynamic characteristic. A high speed, high linearity 3-stage powerful darlington power stage is used while DENON's real bias circuit is enabling high efficency Class A operation. 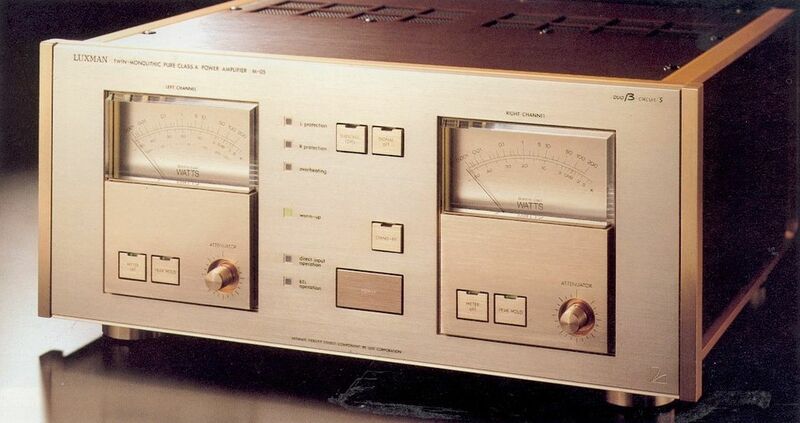 Large VU meters and Digital display adds the final touch to this beautiful power amplifier. 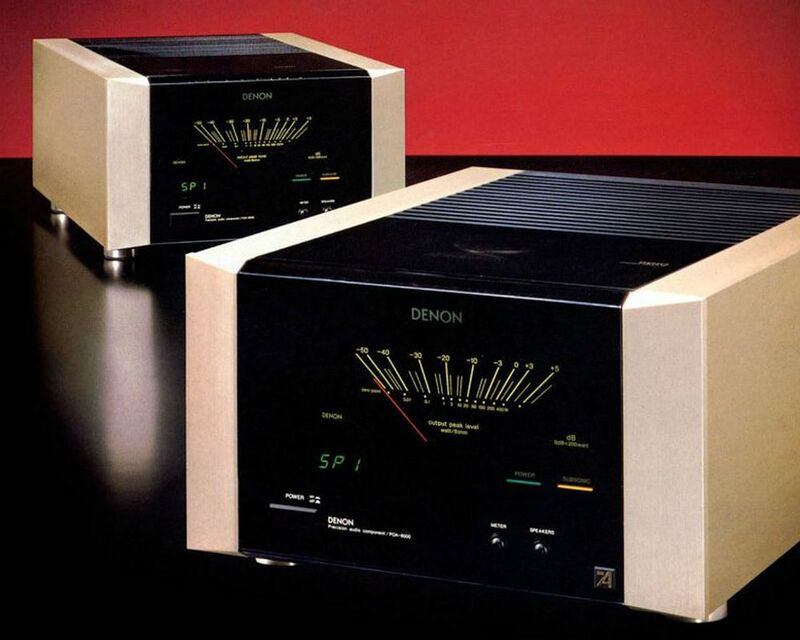 The POA-8000 set was partnered by the equally well designed and handsome DENON PRA-6000 preamplifier. 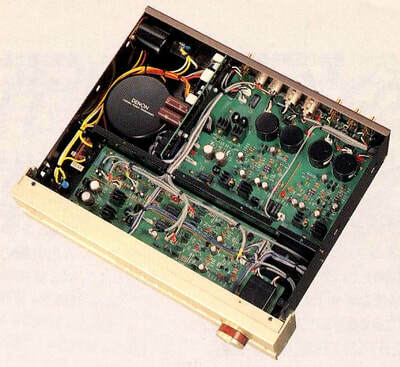 Here is a unique, back-to-the basics amplifier design that considers every aspect of performance between the preamplifier input to the speaker input terminals. 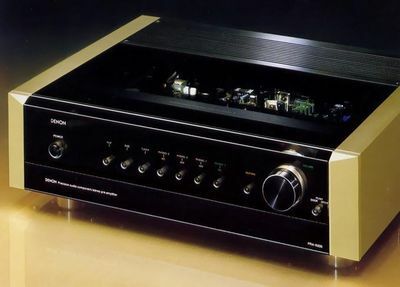 For the dedicated audiophile seeking perfection in sound reproduction, the ideal hi-fi setup includes separating the preamplifier's small-signal circuitry from the large-current using circuits of the power amplifier. 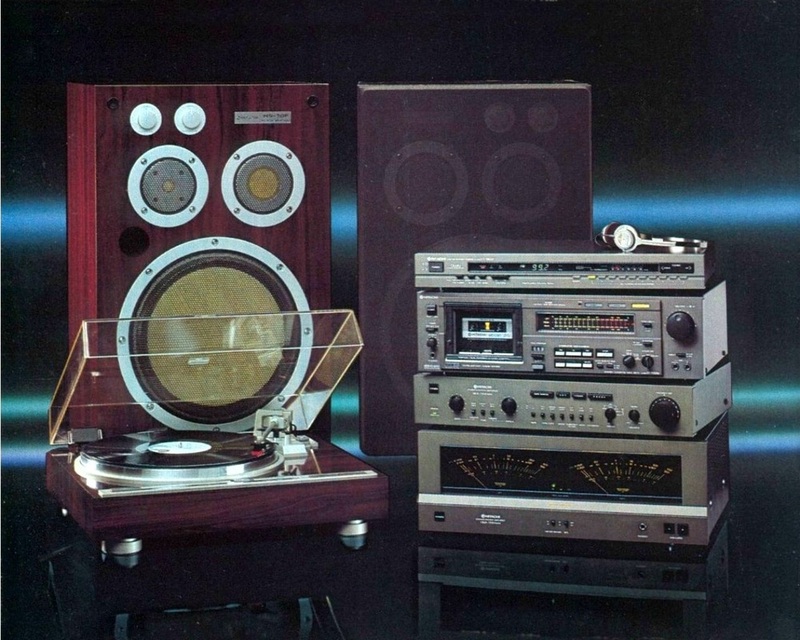 Yet, in spite of all the recent improvements in amplifier performance, the perceptive listener is often left with the nagging feeling that the sound is still not at all as "total" as it should be by the time it emanates from the speakers. 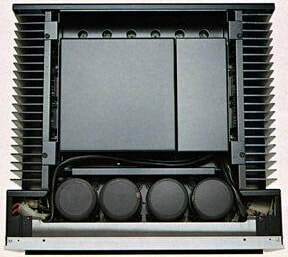 Breaking away from conventional "tunnel vision" in amplifier design, KENWOOD engineers intensively investigated this credibility gap between specification promises and actual results, to reach an amplifier design concept that takes into account every single stage of signal handling, including the link between the separate units, the power supply system, and even dynamic effects of the speakers themselves. 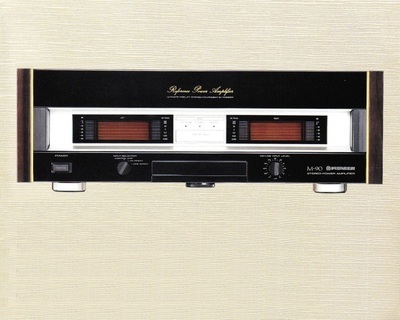 The L-08 Sigma Direct Drive Amplifier System thus actually achieves what must become the primary objective in amplifier design - a stunning mirror image of the purity of the original music signal all the way to speaker system. 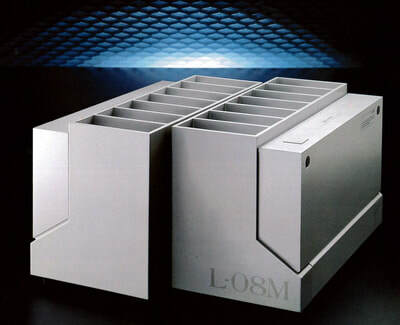 The L-08M is a single-channel power amplifier that "directly drives" the speaker to which it is connected. 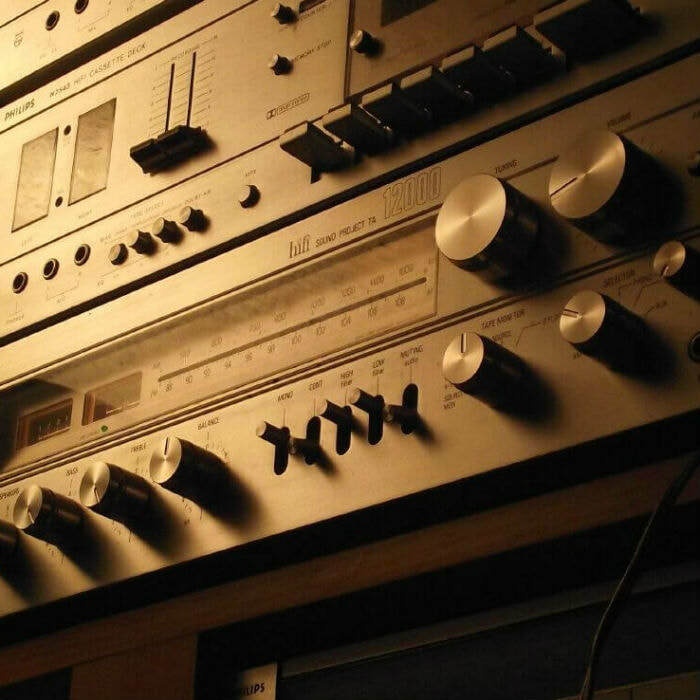 The concept of Direct Drive is based on the accepted theory that the shorter the speaker connecting cord, the better the sound quality. 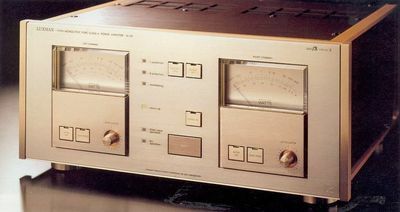 In the original Kenwood Direct Drive amplifier system, an excellent amplifier-speaker relationship was obtained through locating each single-channel amplifier a meter away from its speaker. However, the New Hi-Speed amplifier with Sigma Drive functions as a direct-drive amplifier in the same way, even when the L-08M is located at some distance from the speaker. 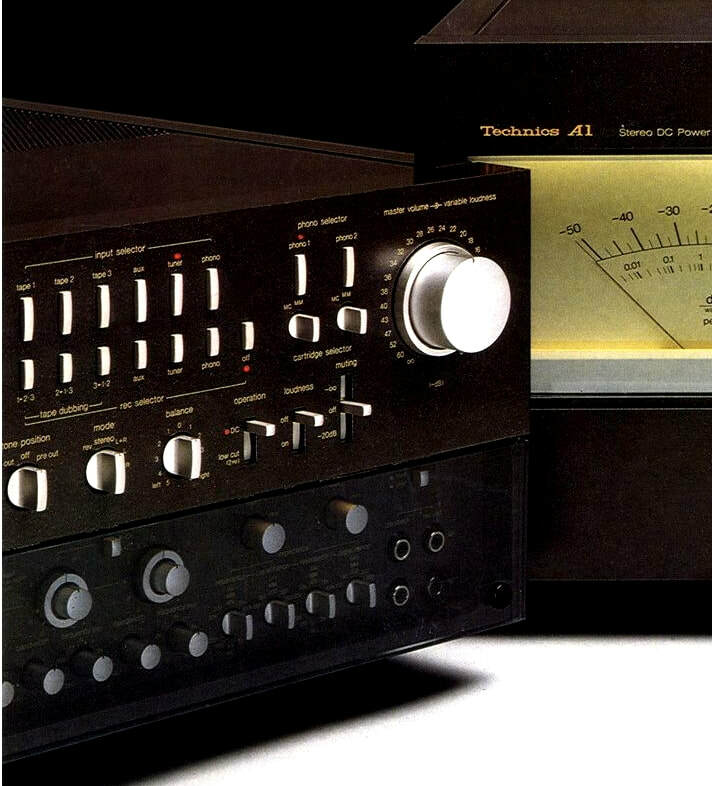 As Kenwood data shows, the L-08M provides outstanding performance relative to any other amplifier setup. 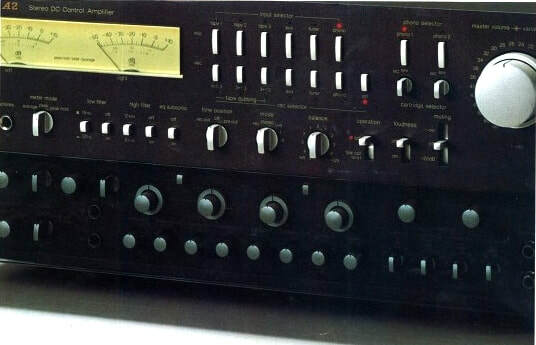 For example, Damping Factor at the end of the 3-meter Sigma cords is still 15,000, while even at 10-meters it is over 20,000, which is more than 100 times better than most other amplifier DFs measured at the amplifier output terminals. 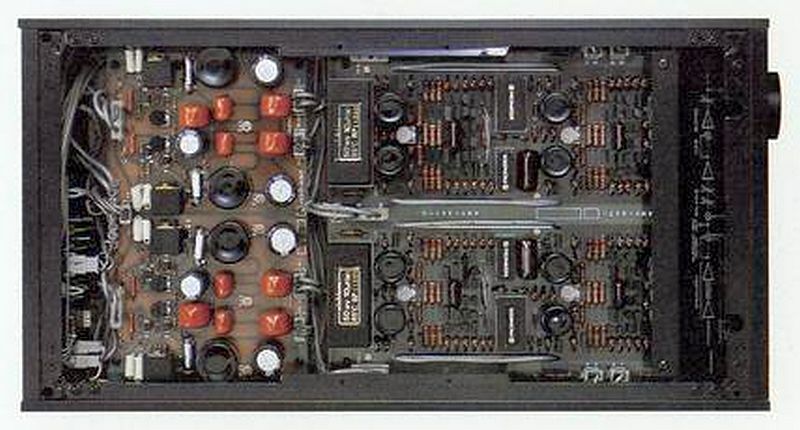 Moreover, such is the innate superiority of the L-08M's circuitry that even without using the Sigma cords and substituting conventional speaker cords instead (the L-08M can still be used as a " n o r m a l" amplifier), the tonal quality has a clear edge over others, as a comparative listening test will prove. Specifications L-08M: Power output 170 watts minimum, RMS at 8 ohms from 20Hz to 20kHz with no more than 0.003% total harmonic distortion. Frequency response DC - 600kHz +0, -3dB, Signal to Noise Ratio 116dB, Damping factor 15,000 at 55Hz. 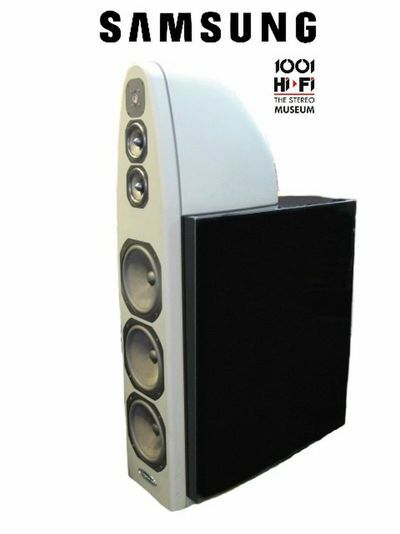 ​Accepts speaker impedance 4 ohms to 16 ohms, Dimensions 185 (W) x 235 (H) x 369 (D) mm, Weight 12.5kg. The HITACHI HMA-8500 MkII was introduced in 1981 and was the last model in a long series of MOSFET power amplifiers by HITACHI (Lo-D in Japan) It is a high quality MOSFET class AB stereo power amplifier that work on principals similar to vacuum tubes rather then bipolar transistors. 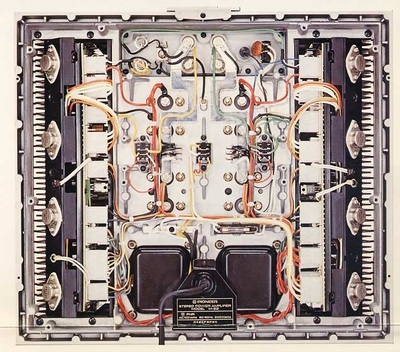 It's a real dual-mono design with two power transformers and two sets of rectifiers and capacitors. 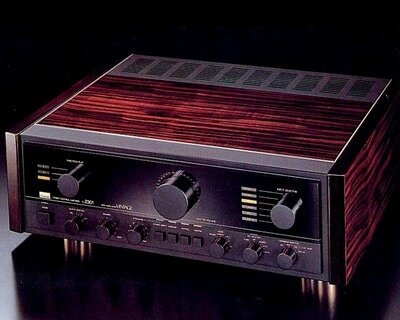 This amplifier runs hot and sounds great. Technical data: 100 W/ch (continous 8 ohm 20-20,000 Hz with no more than 0.005 THD) Dimensions: 435x165x320 mm. Over the years, Luxman's strength in engineering excellence has always been most evident in amplifier design. 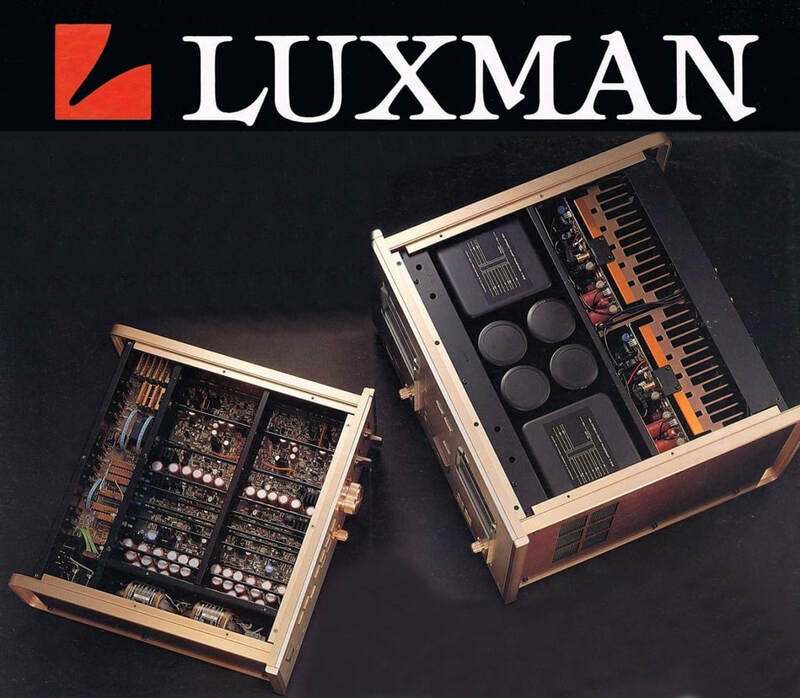 The M-05 represented the latest in electronic technology in 1982 from Luxman and it contains the most current circuit designs, including Duo-Beta with single-stage amplification and L.E.D. 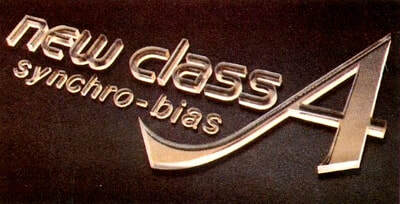 bias circuitry. 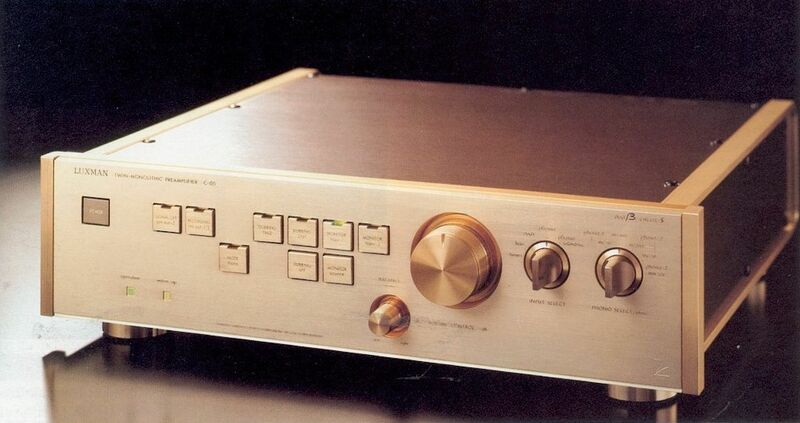 The M-05 utilize discrete output transistors and maintain high dynamic power even into low impedance loads. 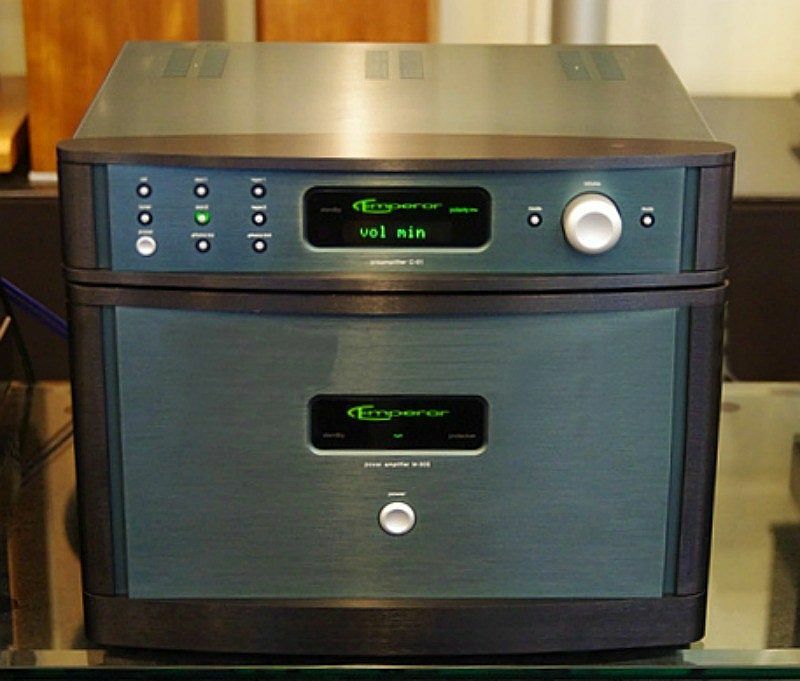 The top-of-the-line M-05 is a pure class "A" configuration and sonically ranks with the finest amplifiers in the world. 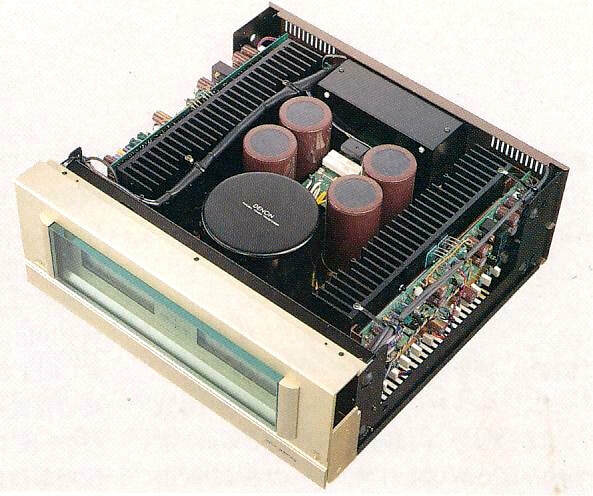 A slim but effective power transformer with outstanding regulation is newly designed for this high quality separates, which ensure longlasting, stabilized performance in combination with the select capacitors specially developed for audio use. 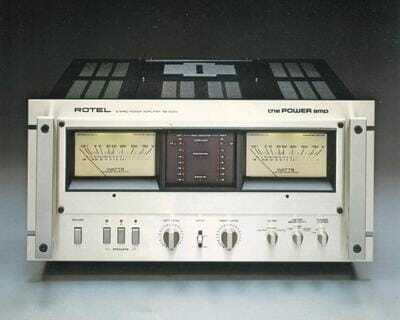 Especially, the power transformer employed this time offers far better efficiency than those with the conventional EI core, which makes it possible to reproduce soild bass sound. 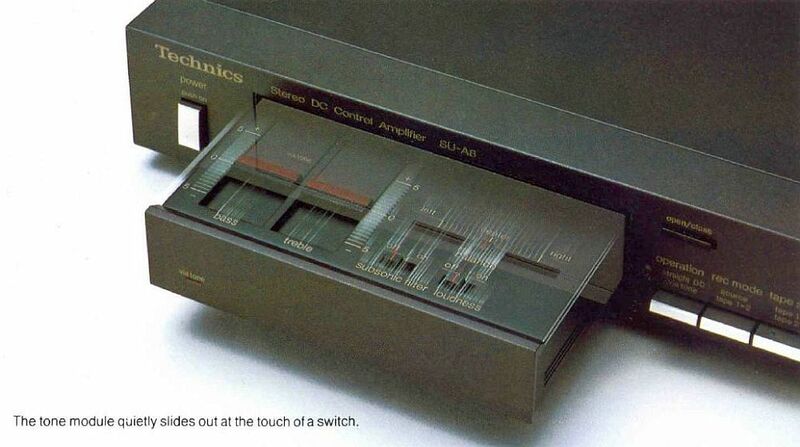 Unprecedented speedy attack and decay are given in the actual auditory feelings thanks to our unique bias current circuit employing LED's in lieu of normal diodes. In fact, the LED provides very sharp rise and decay in the statics when compared with silicon diode, and therefore ensures stable bias power supply. In addition, it is possible to cope with even an unexpected, sudden fluctuation due to its inherent high-speed response. Furthermore, the inter-terminal voltage per LED is higher than that of diode in general, and to share the same voltage the smaller number of LED's will do in comparison with that of diode. 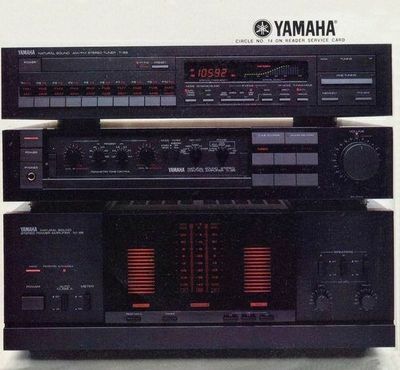 Thus, the esponse speed as well as the decay and rise characteristics show multiple effect, providing conspicuous improvement in the auditory feelings. Unexperienced pure sound is now unveiled. 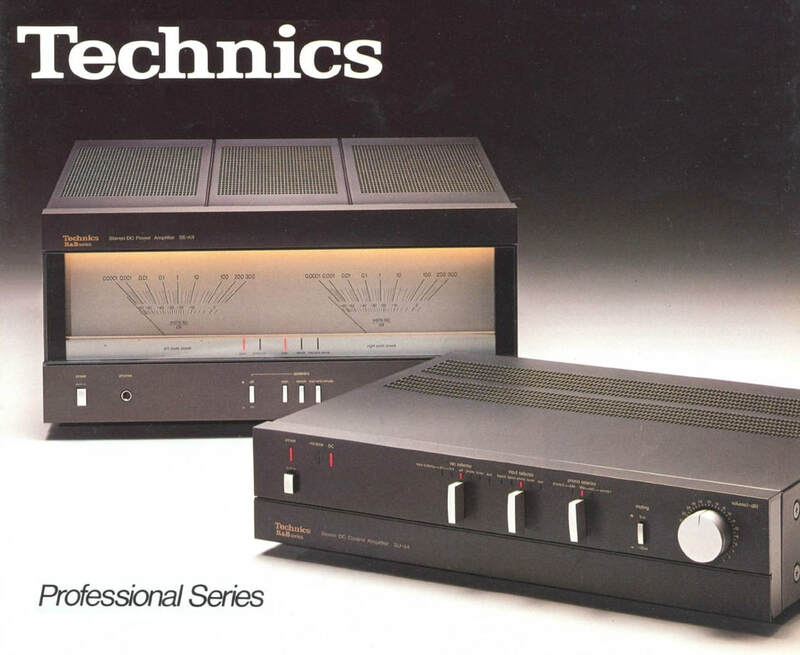 ​The Technics SE-A3 power amplifier introduced in 1980 employs a New Class A circuitry that makes it something special. 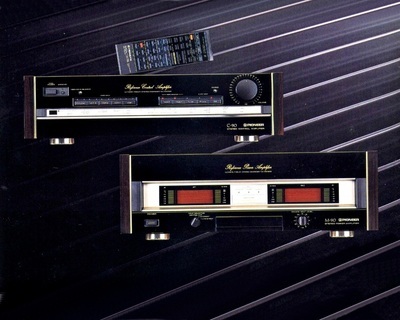 New Class A is a unique Technics design that provides the distortion-free fidelity of class A amplifiers and the high power efficiency of class B (or AB) amplifiers. The SE-A3 delivers a rated output of 200 watts per channel, both channels driven into 8 ohms, with no more than 0.002% total harmonic distortion from 20 to 20,000 Hz. 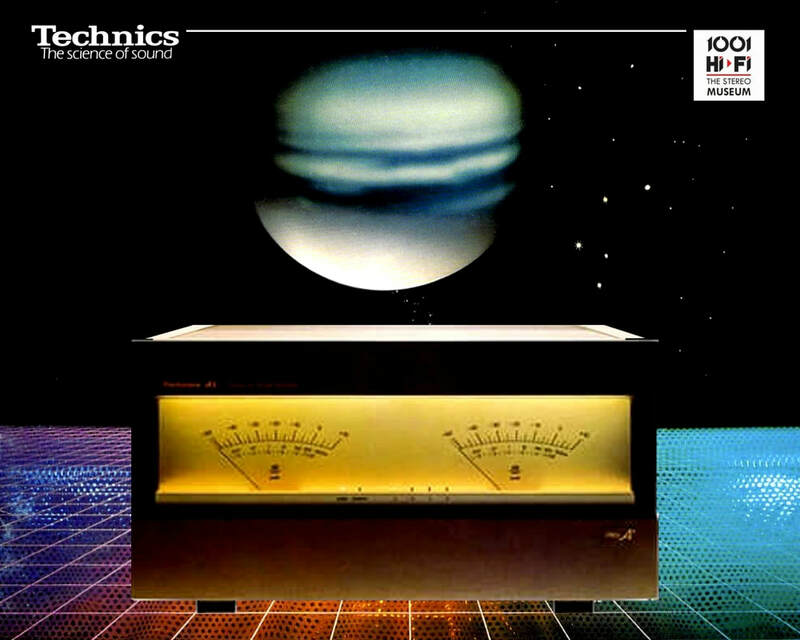 Signal-to-noise ratio is 123 dB (IHF '66) and TIM is so low that it is unmeasurable. Although these specifications speak for themselves, the New Class A circuitry eliminates the switching distortion and crossover distortion that are characteristic of conventional amplifiers with the use of the original "synchro bias" circuit. 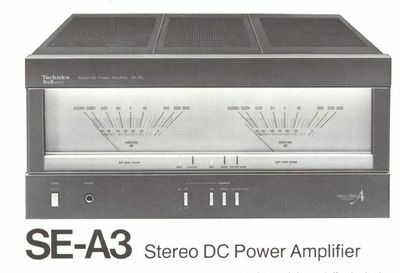 To eliminate chances of cross-channel interference the SE-A3 is equipped with separate transformers for the left and right stereo channels. 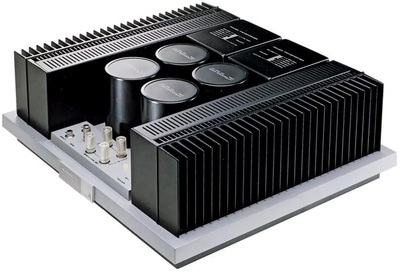 ​To complement the overall aesthetics this power amplifier uses large Peak Power Meters that have an attack time of only 50us and give direct readings from 0.0001W to full power. 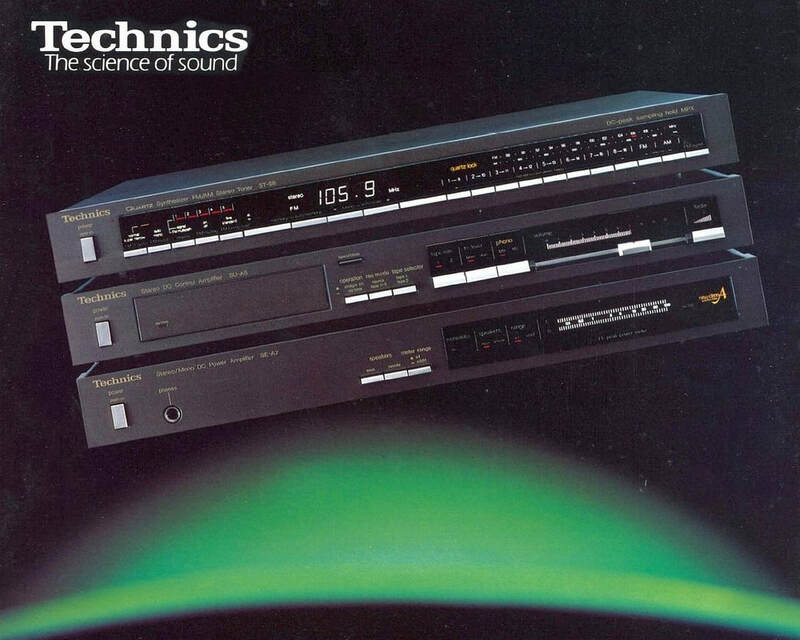 We can almost consider this a Technics trademark. 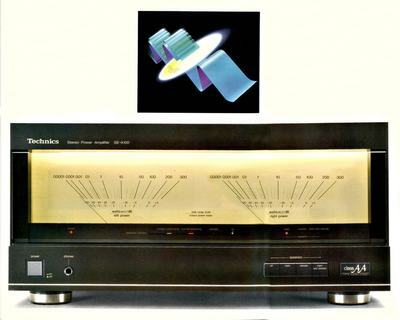 Unfortunately rumour is that there are two types of Technics SE-A3, one that is broken while the other one will be soon broken. 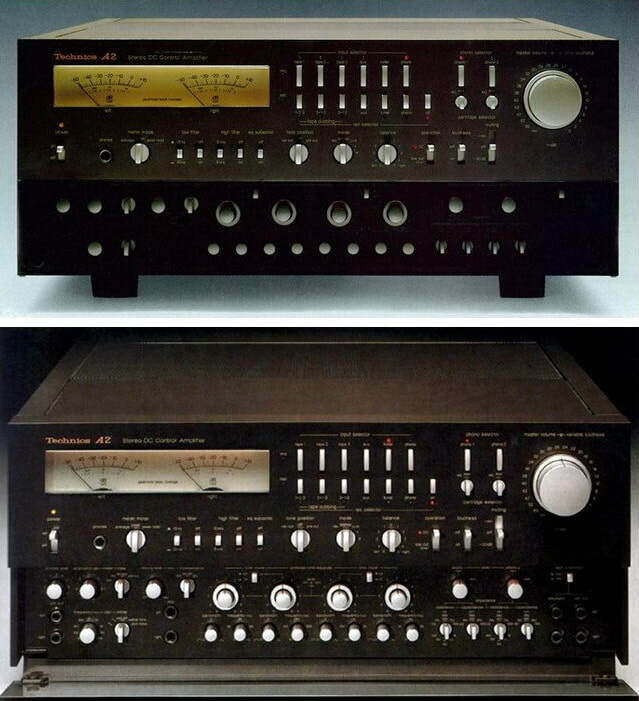 The good news however is that the special DLPT symmetrical configuration dual transistors can be replaced with two independent Toshiba power transistors. 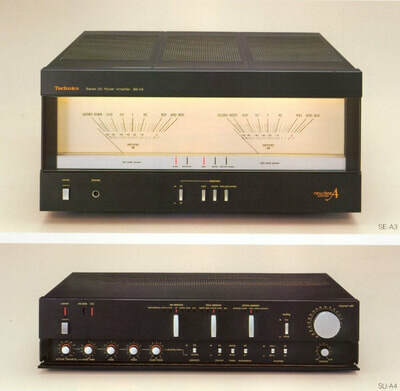 ​The Class AA circuitry drove the voltage control amp and current drive amp separately. This isolated the voltage control amp from the current supply source, resulting in faithful voltage control according to the input signal as well as reduced distortion. The current drive amp stably supplied the electric current necessary for driving the speakers, thus maximising its superb speaker drive capability. 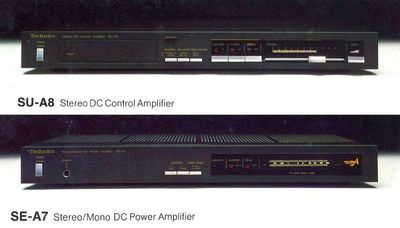 Two control amps and two current drive amps were provided for each channel. 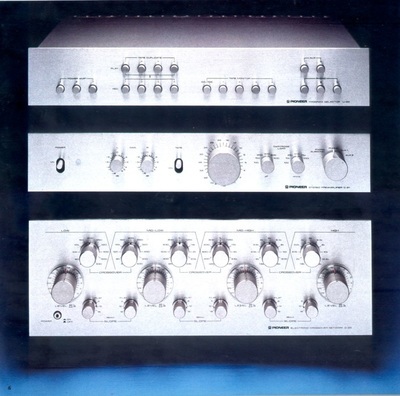 These four amps configured the VC-4 amplifier system. 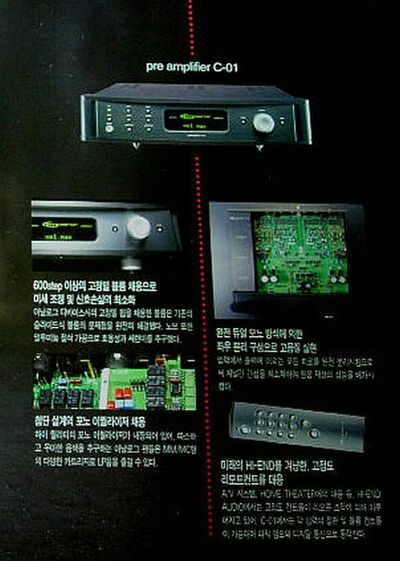 In addition, the completely symmetrical construction eliminated the mutual interference of the left and right channels. Other features included a power supply transformer with oxygen-free copper wires, a three-layer magnetic shielding case and large power meter for direct reading of 0.0001 W to 300 W. Technical data: 170 W/ch 8 ohm 20Hz-20kHz, THD 0.0007%, 430x209x475 mm (SE-A100) 31.2 kg. ​The M-85 is Yamaha's finest Natural Sound power amplifier, offering massive output power and extreme reproduction purity for the discriminating audiophile. 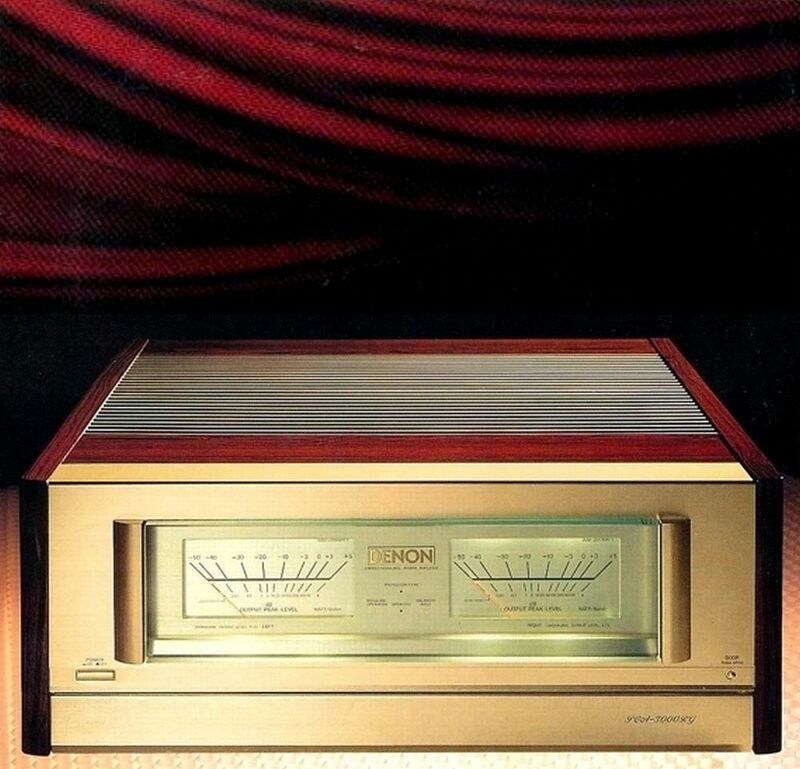 It delivers an astounding 250 watts of power per channel into an 8 ohm load with a mere 0.003% THD. 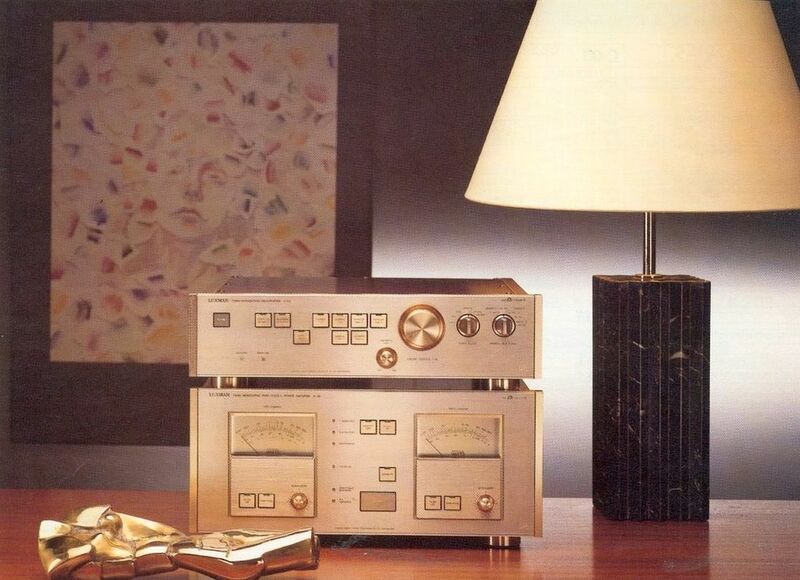 In short, the M-85 offers power to suit any listening requirement. Further, Auto Class A Power and Zero Distortion Rule circuitry make this one of the cleanest sounding amplifiers available. 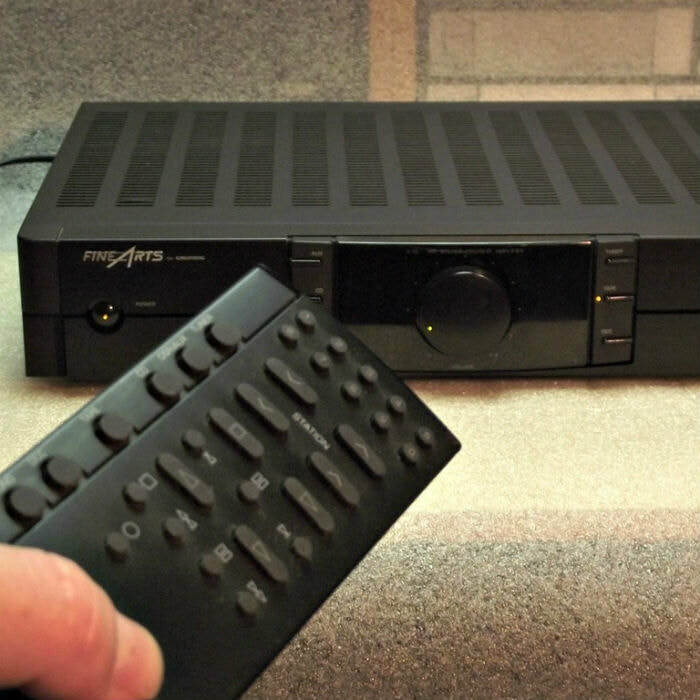 Regardless of the type of music you enjoy - rock, jazz, classical, or anything in between - the M-85 responds with dynamic power on demand, making the most of today's dynamic audio sources. 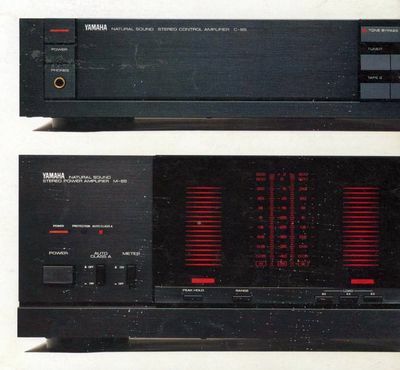 It is capable of driving up to three speaker pairs independently, simultaneously, or in any combination of two. You'll appreciate its heavy-duty speaker connection terminals, wide-range LED peak power level meters, meter display load selector, meter Peak Hold and Range selectors, and full overload protection circuitry. The M-85 is an outstanding achievement in power amplifier design. ​The first model of the PRA-2000 / POA-3000 series from DENON was introduced in may 1979. Production has continued for 14 years and the 4th generation, the PRA-2000RG / POA-3000RG, were manufactured until 1993. 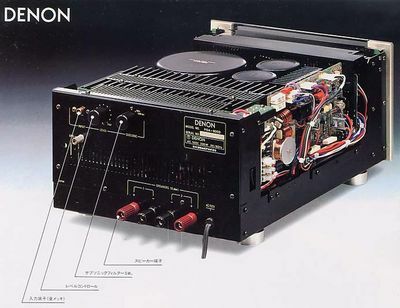 This power amplifier used a DENON proprietary technology called "MOS Super Optical Class A Circuit" This new inverted-Darlington connection in the driver stage allows a flow of bias current 10 times higher than the previous DENON Optical Class A circuit. 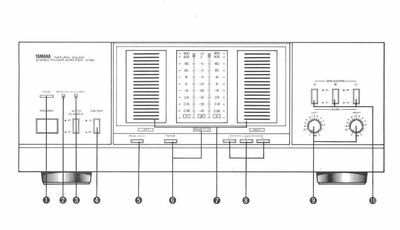 Supporting this optical power amplifier is "optical coupling" which transmits the control signal from the bias control circuit to the bias circuit. By using the optical element, the interference between the main signal system and the bias control circuit is completely eliminated, and the bias control is realized at high speed. 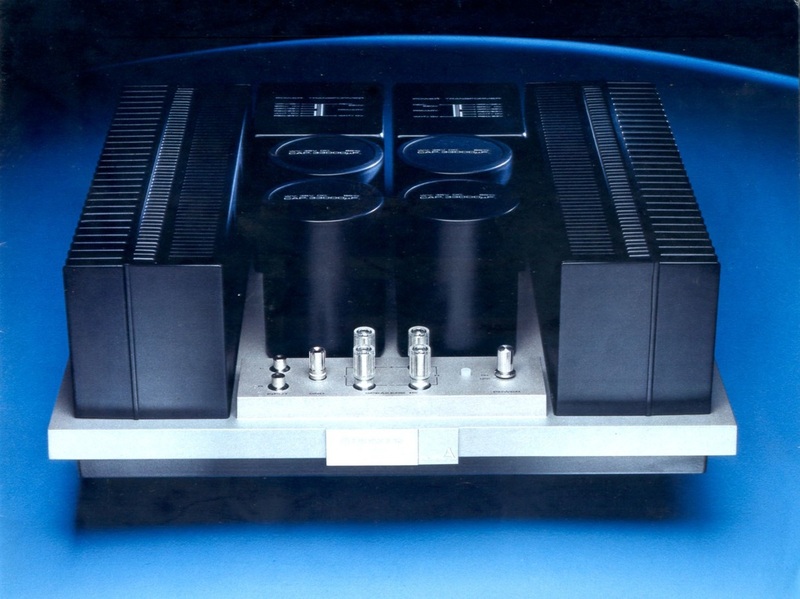 The amplifier delivers 250 W/ch in Stereo mode while the power increases to 500W when swithed to mono operation. 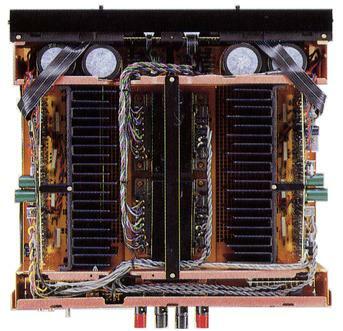 For the power section a large toroidal transformer is used with large power source capacitors. Current is independently supplied to the power stage and the pre-driver stage, all this through a complete dual mono construction. ​The "soul of audio" combined with the advanced art of high fidelity electronics is behind the unique concept of the EXCLUSIVE M3 stereo power amplifier by Pioneer. 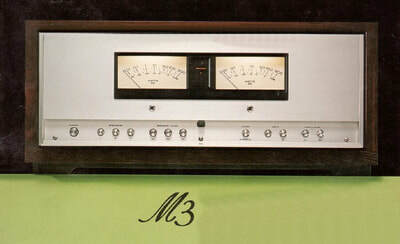 Analyses of both the "dynamic" and the "pulsive" characteristics of audio were studied carefully in the creation of the M3. These include transient response, crossover distortion and many other critical aspects of performance. 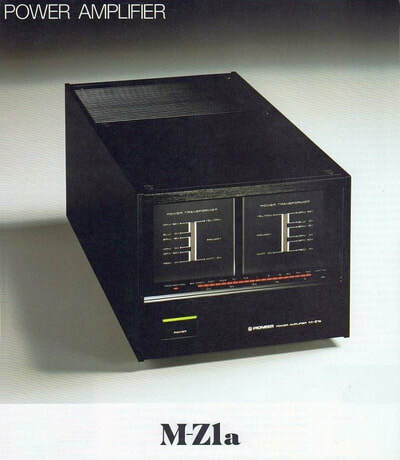 Such static characteristics as power bandwidth and frequency response were also closely examined. The results are as brilliant as they are daring. To illustrate, consider the problem of providing stability versus the question of assuring wide frequency response and minimum distortion. Pioneer designed an entirely new type of circuit for the M3 to achieve both: it features the reliable circuit design and high quality parts for stability, yet allows a small amount of negative feedback to be applied to improve frequency response and assure low-distortion performance. Sophisticated features like peak-power level meters, a front sub-panel providing access to speaker selector and function of the M3. Individual technical-data sheets giving the exact test information for each unit is packed with every M3 as it leaves the Pioneer factory. 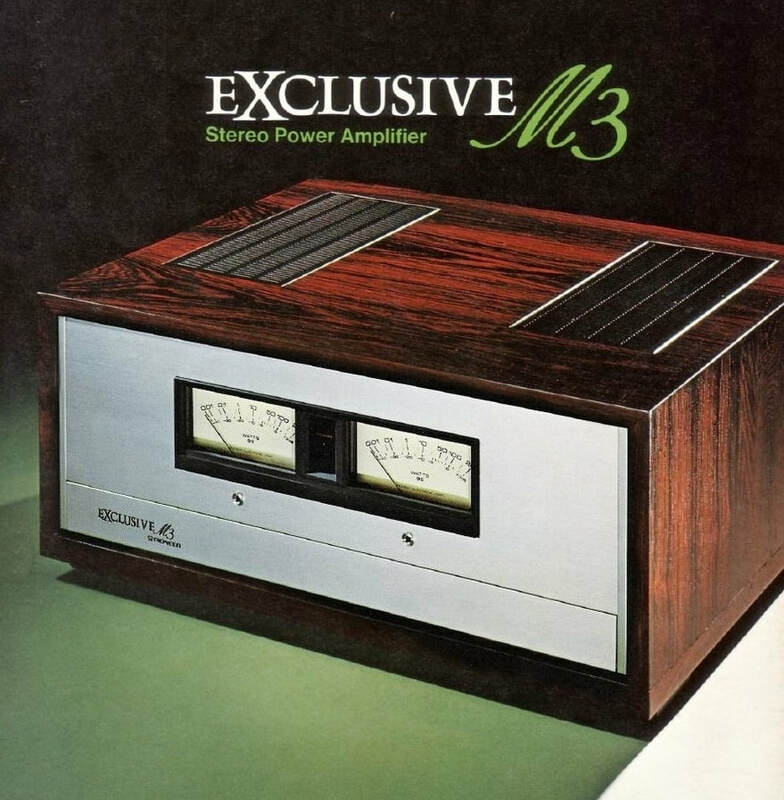 The EXLUSIVE M3 is the perfect blend of technology and musicality, the stereo amplifier you can depend on to deliver the "soul of audio" without compromise. 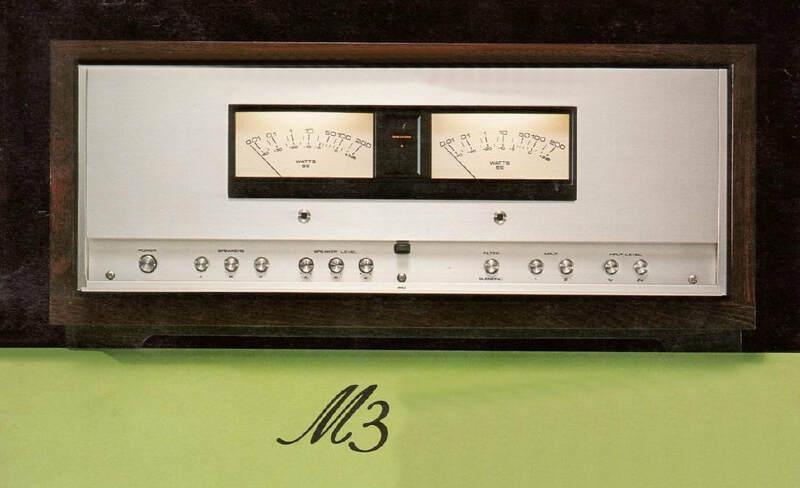 As a quality power amplifier for musical reproduction, the M3 has no peer. It offers you RMS 150 watts+150 watts of continuous power (both channels driven at 8 ohms) within critical 20-20,000 Hz frequency range, with both harmonic and intermodulation distortion held to less than 0.1%. There are two large, very precise peak power level meters on the front panel of the M3. 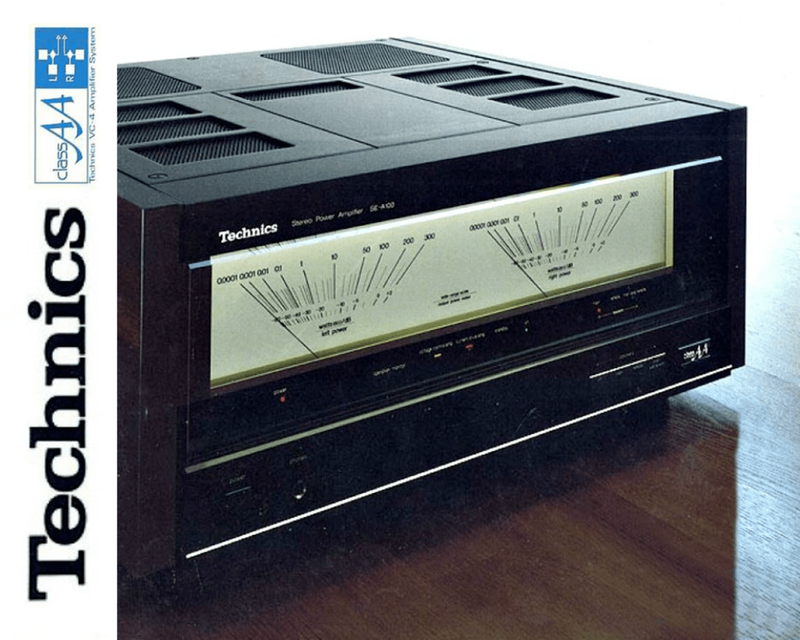 The peak transient levels as high as 20dB contained in any audio signal are indicated instantly and acurately. 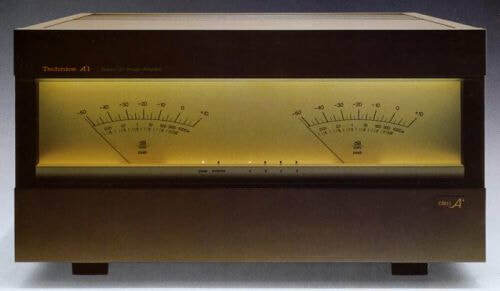 Compared with ordinary VU meters, the power indication range of this peak meter is exceedingly wide: 0.01W to 200W on a logarithmic compression scale, operating from built-in circuits, thus, you can read the power level without changing meter sensitivity. 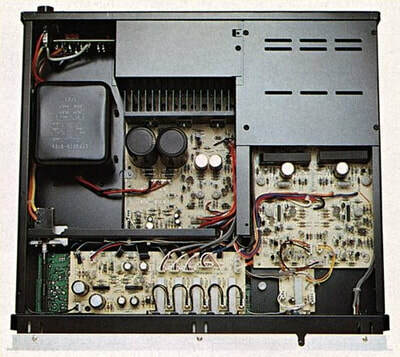 Introduced in 1988 the SONY TA-N77ES was the only power amplifier ever from SONY to support large VU meters as a visual element. 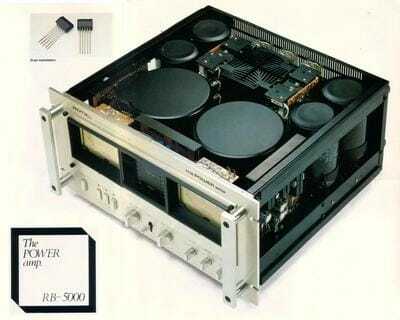 ​Power amplifiers are usually tested when hooked up to 8-ohm laboratory resistors. While results may look fine on a spec sheet, they simply ignore an undeniable fact. Real loudspeakers - even those nominally rated at 8 ohms - simply refuse to behave like laboratory resistors. 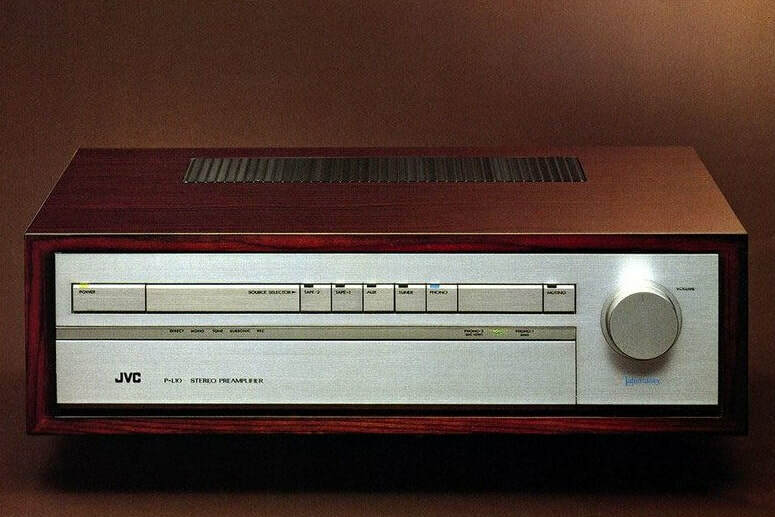 While the resistor presents a simple impedance that's constant at all audio frequencies, the speaker presents a complex impedance that varies dramatically. A typical "8-ohm" loudspeaker can have impedance peaks higher than 30 ohms and impedance dips lower than 3 ohms! 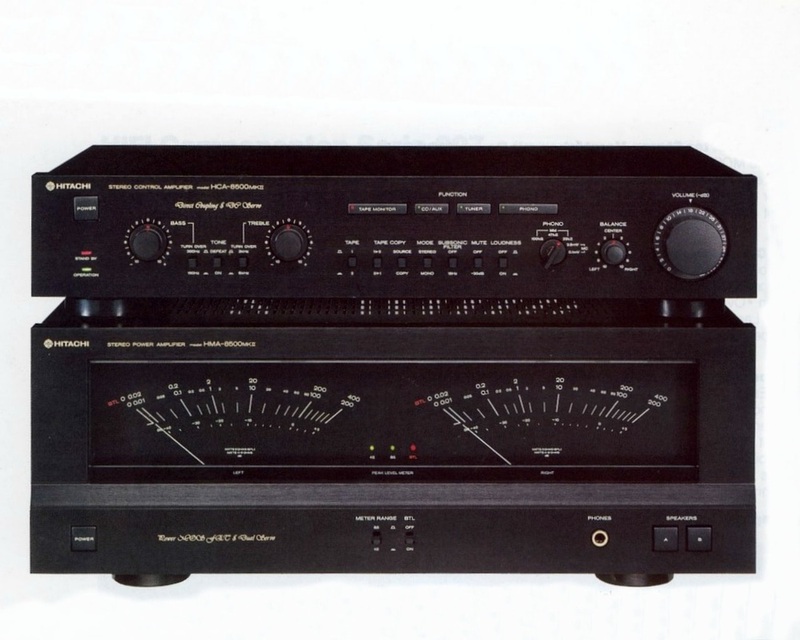 And here's the catch: as impedance drops, more and more current is demanded from the amplifier. 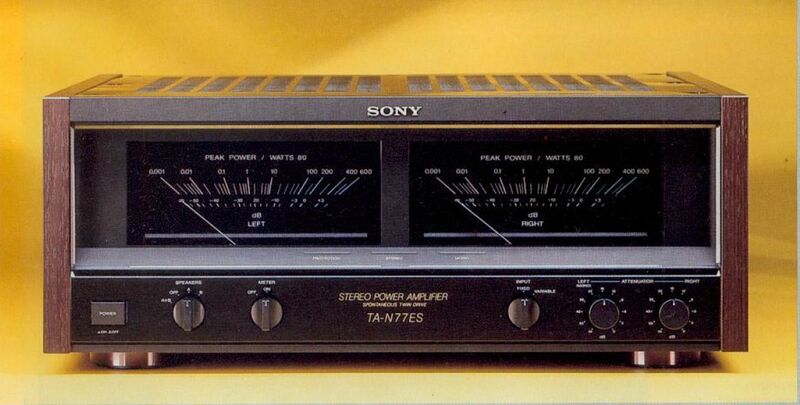 Thanks to large power transformers, generous power supplies, big output transistors and massive heat sinks, the SONY TA-N77ES produce this current in casual disregard of loads. In preference to inexpensive integrated circuit "power packs" SONY ES insists on individual (discrete) output transistors. 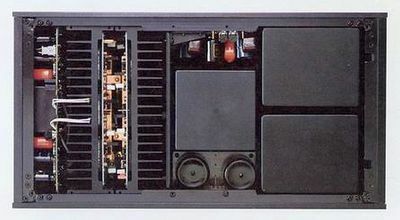 Sony's carefully-selected discrete transistors cost more, but their enhanced cooling, proven reliability and superior frequency response make them more than worth the cost. To reduce resonance and vibration Sony used a G-Base made of calcium carbonate reinforced with glass fibers, a unique compound similar in composition to marble. 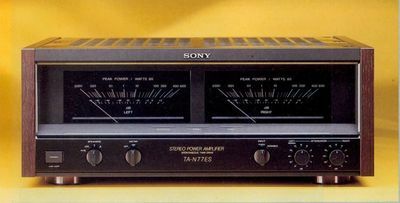 To accompany the SONY TA-N77ES power amplifier there were two remote controlled preamplifiers, the SONY TA-E77ES and the TA-E77ESD with added Digital inputs. Technical data: 200 W/ch 20-20,000 Hz 8 ohm THD 0.004% Dimensions: 470 W x 185 H x 440 D mm, Weight: 25 kg. The Victor (JVC) M-L10 power amplifier was introduced in 1981 and was based on the earlier Laboratory Series M-7050 from 1979. The power amplifier is based on the high efficiency class A operation method called "Super A" with zero switching noise. The output stage transistors operates at a constant voltage, only the current is changed, and the whole stage adopts a cascade cicrcuit construction. 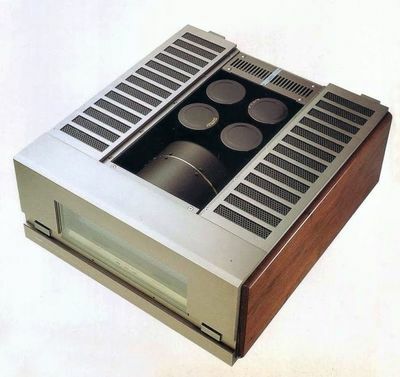 ​A distinctive (21 step laquering) mirror finish real wood cabinet is used for both the pre-amplifier and power amplifier. 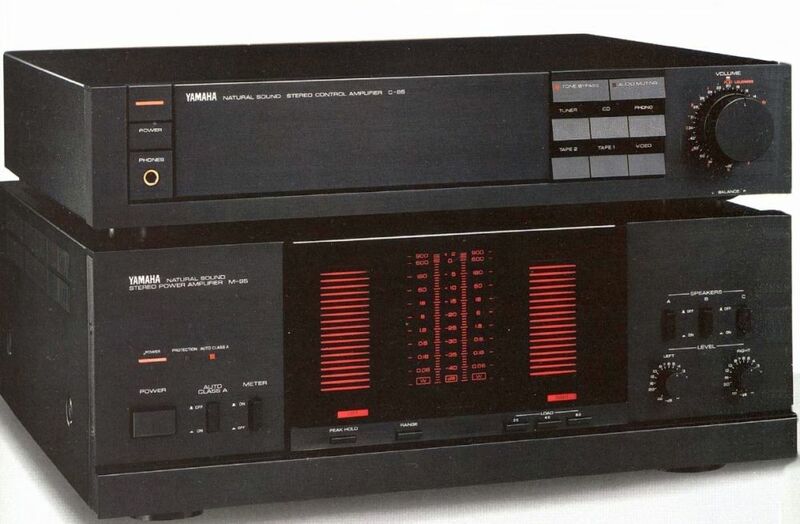 This beautiful Laboratory Series amplifier combo was sold under the Victor brand name in Japan while worldwide it was sold as JVC.